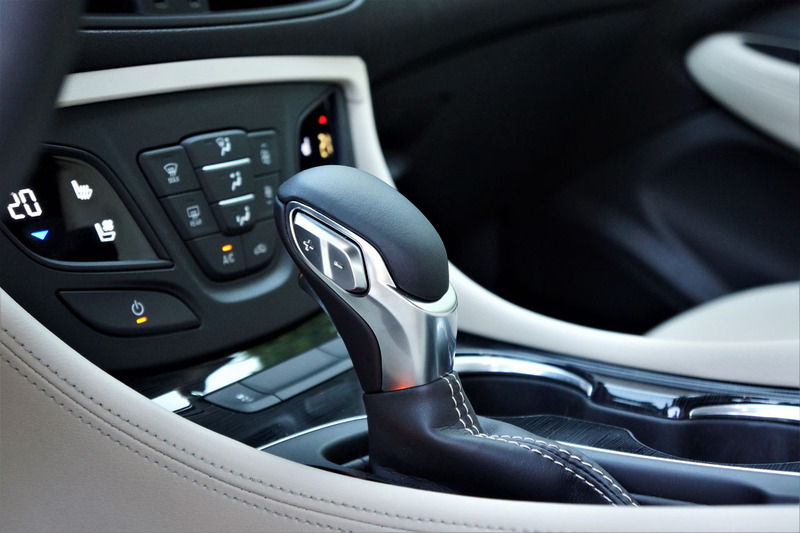 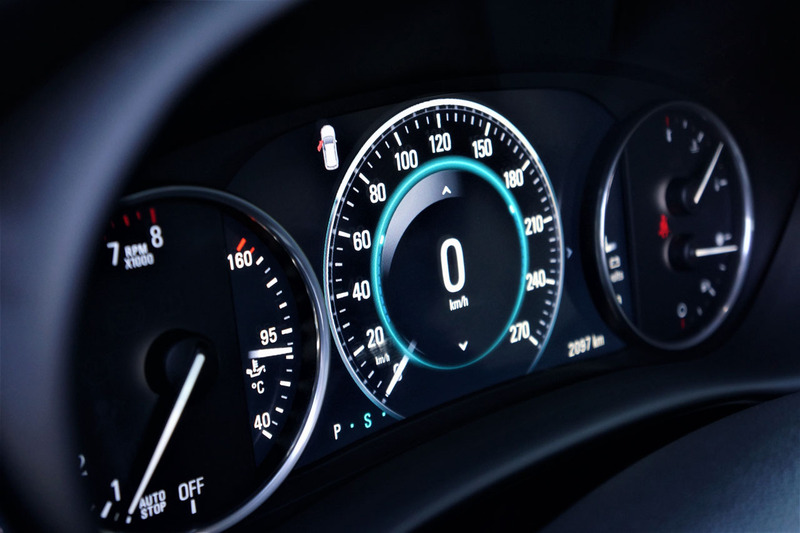 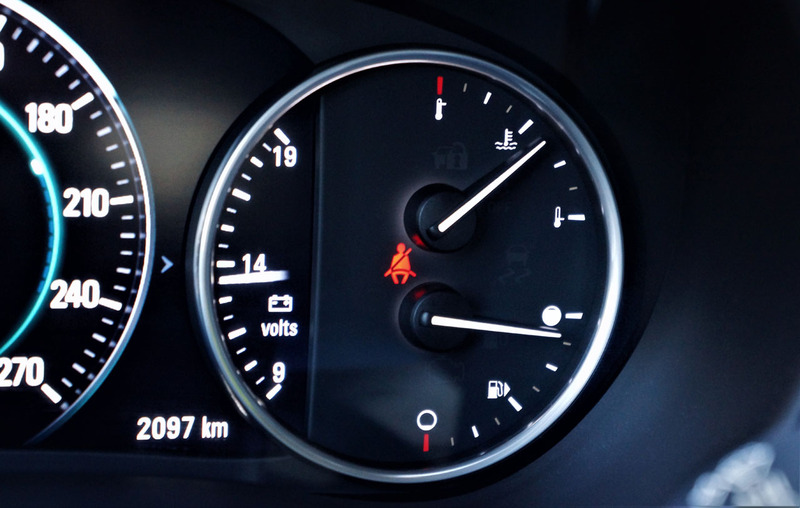 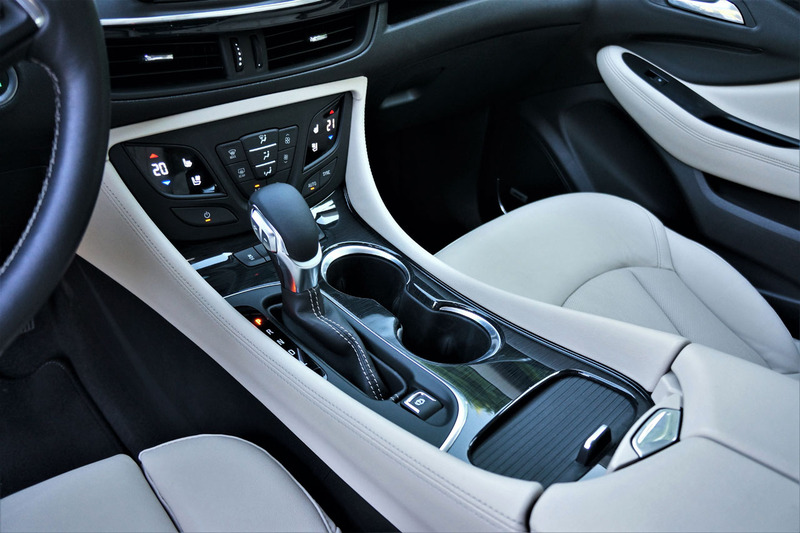 Most automakers have voids in their lineups that eventually need to be filled in order to take advantage of market developments. 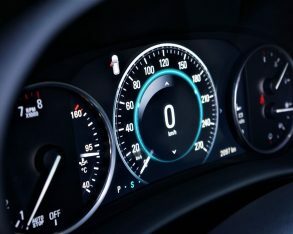 Even major luxury brands like Audi and Lexus are missing key models that would dramatically boost sales if available. 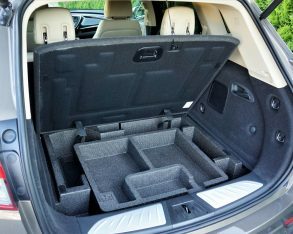 For instance, Audi could use a smaller, sportier mid-size five-passenger crossover SUV to take on Lexus’ segment-leading RX, and Lexus needs a seven-passenger car-based sport ute to fight the Q7. 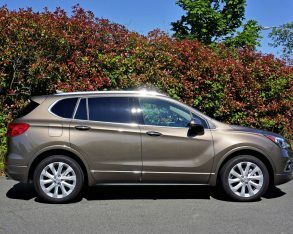 This issue is even more pronounced amongst entry-level luxury brands like Acura and Buick, with Honda’s premium division requiring a subcompact SUV to battle the popular Encore, and GM’s near-premium subsidiary having long needed a compact crossover to go up against the RDX. 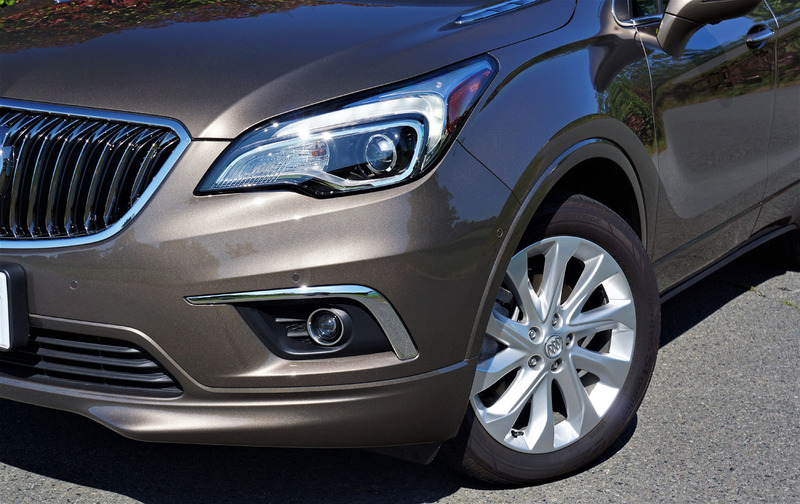 Thanks to the new 2017 Envision this latter problem is now resolved, but is it good enough to unseat the mighty RDX. 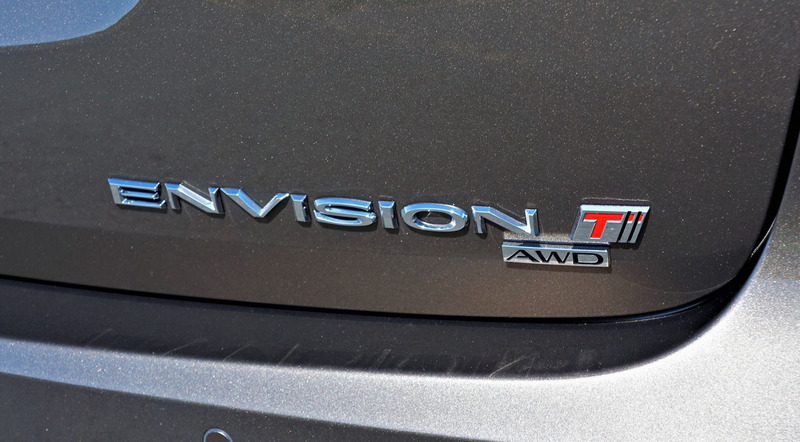 yes, but Acura isn’t number one in the segment. 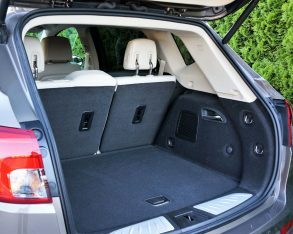 That position has long belonged to Audi’s Q5, but the RDX has almost always maintained a respectable second. 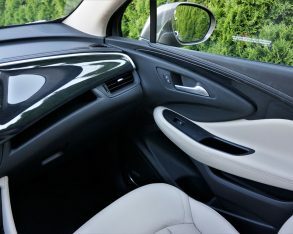 Sales in this category have grown considerably in recent years, with these two leaders in the low 3,000-unit range at the close of calendar year 2010 and their 2016 sales totaling more than 8,000 apiece. 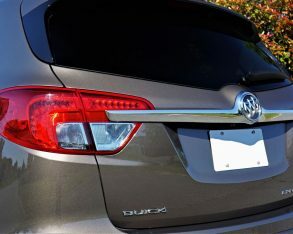 of additional customers to the Buick fold each year was too good to pass up, even if it meant bringing a model to market before it’s mid-cycle refresh. 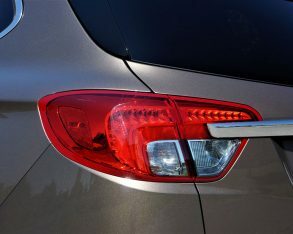 That’s the first thing I noticed when looking it over in my driveway. 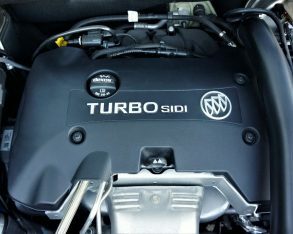 It’s new, but it already looks a bit dated. 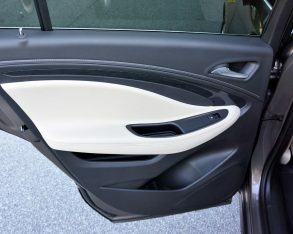 Its shape is conservative for sure, but that’s not the issue. 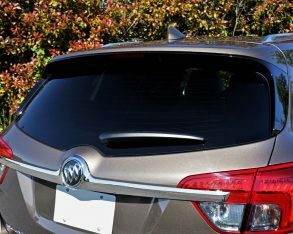 It seems like an SUV Buick might have envisioned (sorry for the pun) a few years ago, complete with a chromed waterfall grille and “ventiports” atop the hood. 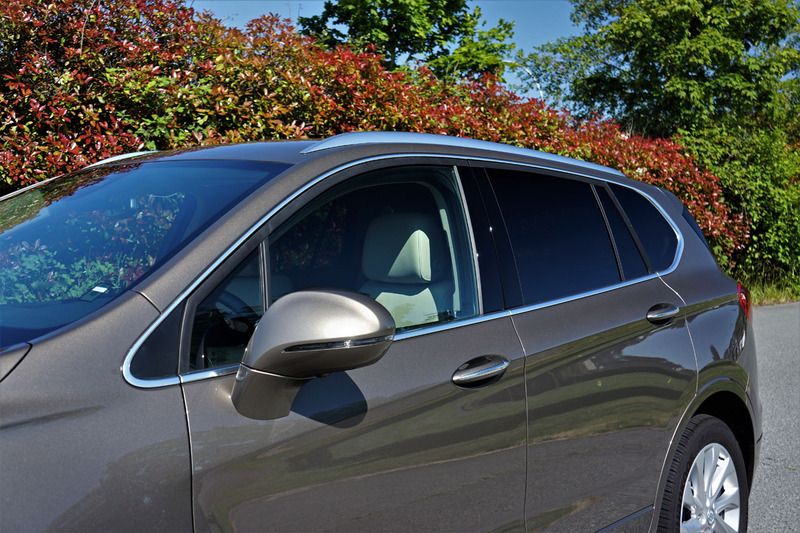 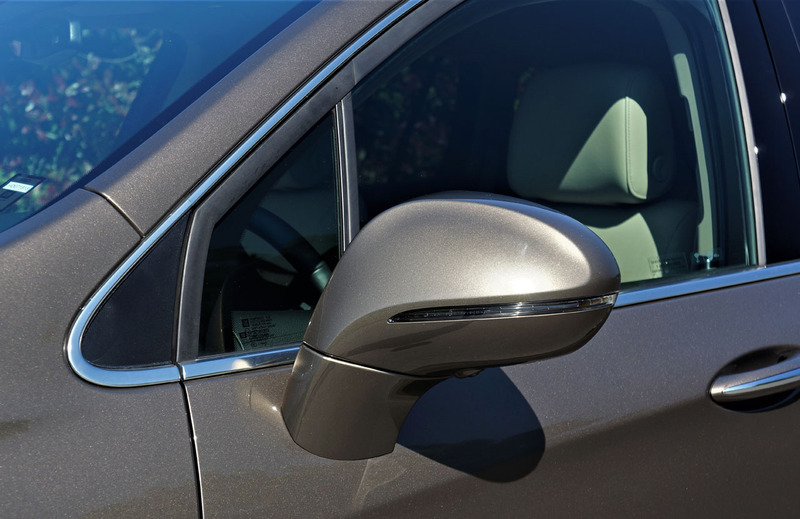 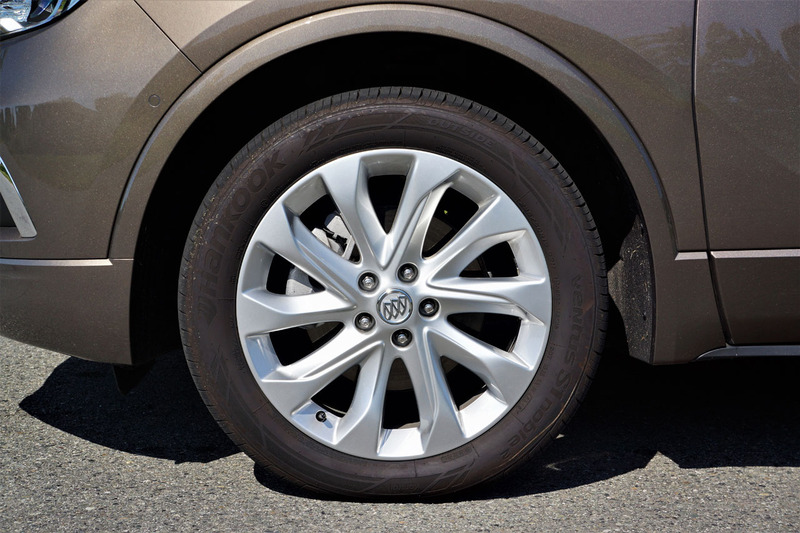 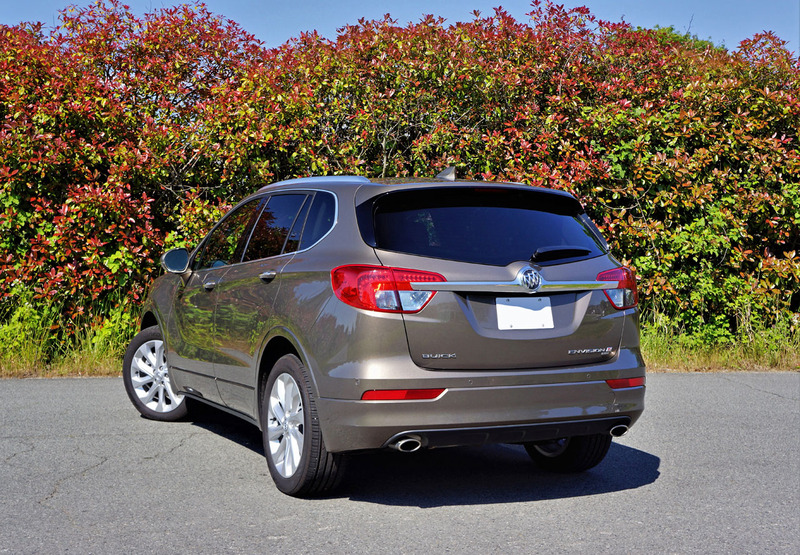 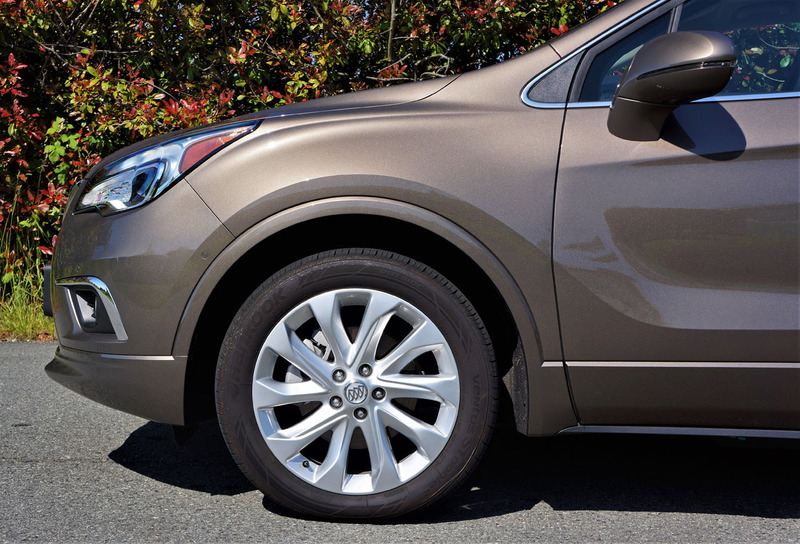 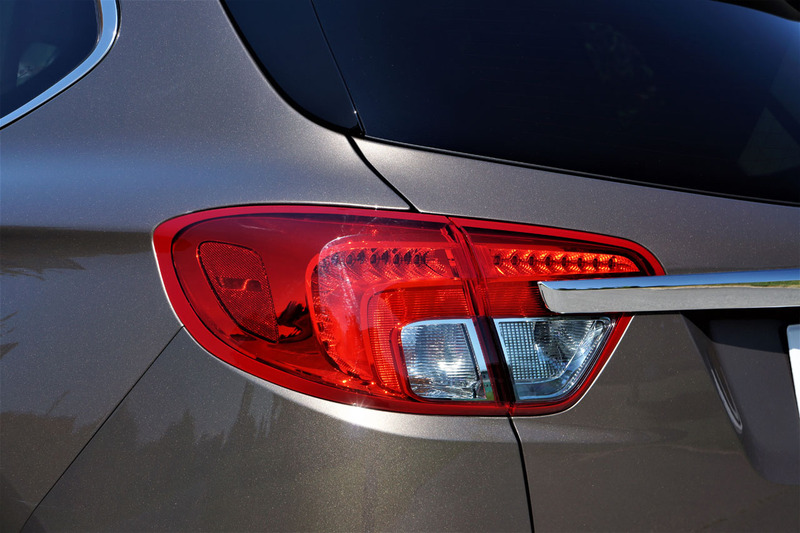 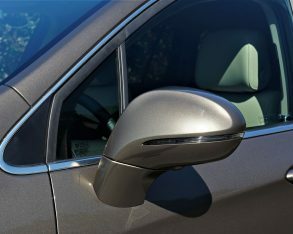 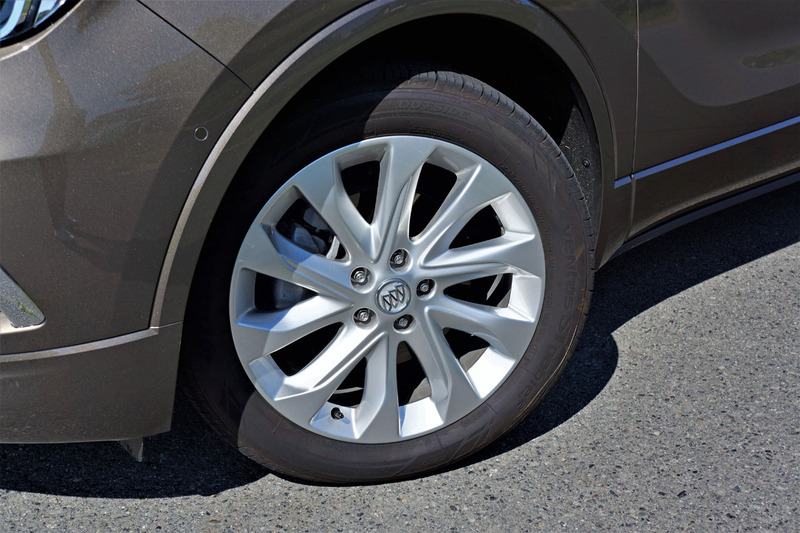 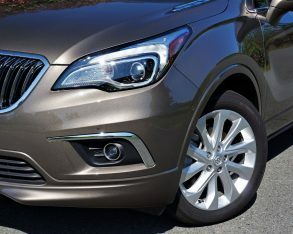 These design elements were eliminated from this year’s new-look Encore and the latter moved over to the front fenders for the recently redesigned LaCrosse, but they’re still part of the “new” Envision. 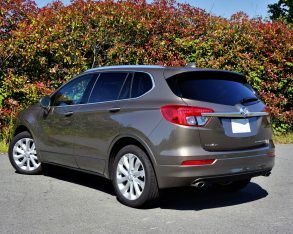 was designed and engineered in Michigan before going on sale in China two years ahead of arriving here. 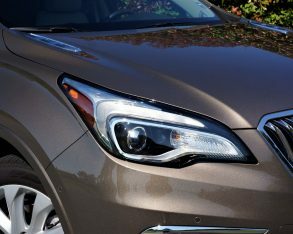 That means it was new about three years ago, hence the dated look when put beside Buick’s new Encore, LaCrosse, upcoming 2018 Regal Sportback, and redesigned 2018 Buick Enclave Avenir. 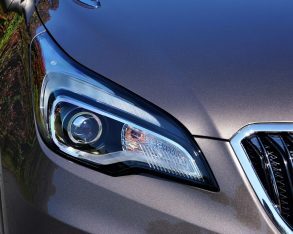 No doubt it will adopt the modernized grille in a future mid-cycle update, so for now we’ll need to look past its mature appearance. 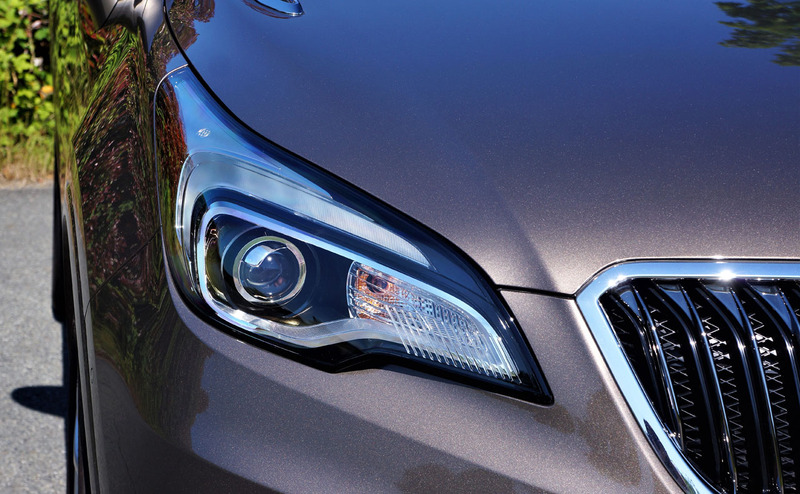 the most formidable U.S.-Chinese corporate partnerships. 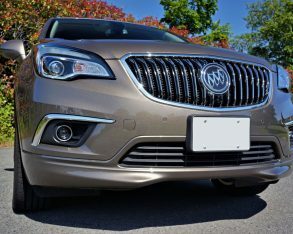 Those paying attention to all things Buick have likely heard stories about nicer, more opulently trimmed models available in China that couldn’t be had here in North America. 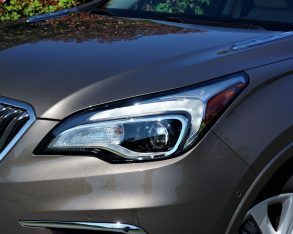 Of course, they don’t mention the GMDAT (Daewoo) sourced economy cars and odd looking minivan also sold under the Buick badge, but it’s still good to see some of the fruit from this relationship finally heading our way in the form of this new compact SUV. 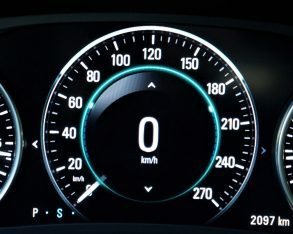 but these days the U.S.’ bombastic new commander in chief seems more twitterpated with “unfair” Canadian trade practices than anything the Chinese might be doing. 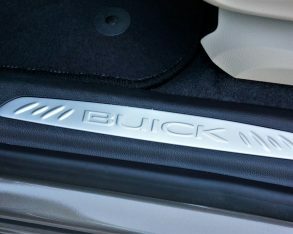 Of course, I digress as usual, but in the case of anything Buick related, a “Made in China” stamp makes perfect sense. 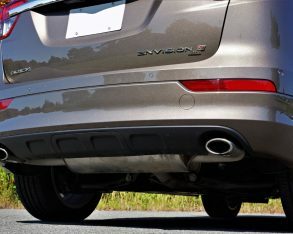 Skylark), or the Model 40, but now this history is still part of a brand that teases us with new dream cars like the fabulous Avista and Avenir concepts, just like the Y-Job did to our forefathers. 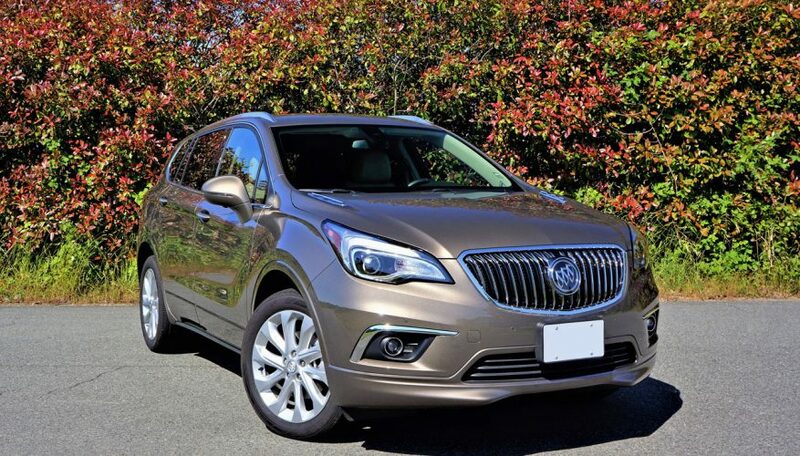 Yes, if it weren’t for the Chinese market Buick would likely be history along with Pontiac and Oldsmobile. 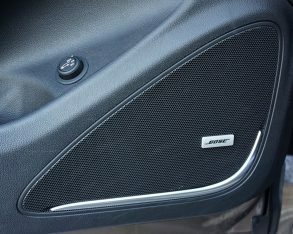 for saving yet another storied American brand from elimination. 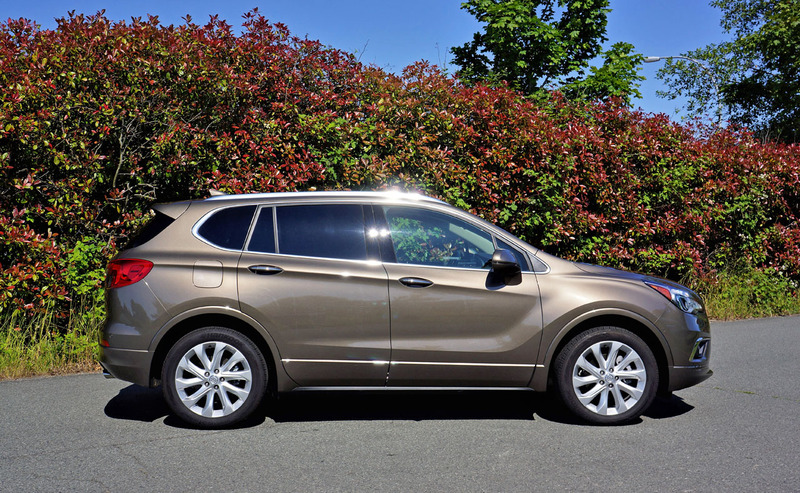 Now, can you please do something about Chrysler before it’s too late? 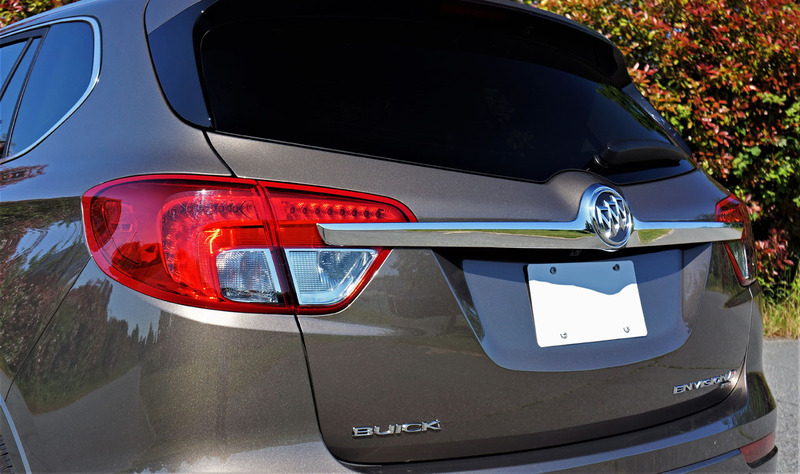 Before signing off on the Chinese connection, a bit of Buick history is in order. 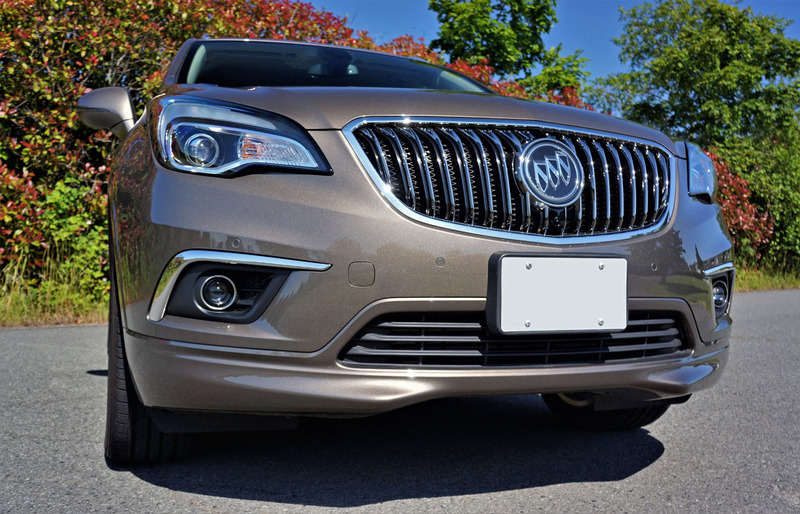 Most of us aren’t aware that Buick has been a fixture in the Chinese market for longer than luxury brands like Audi, BMW, and even Mercedes-Benz have been in existence, let alone Acura, Lexus and Infiniti. 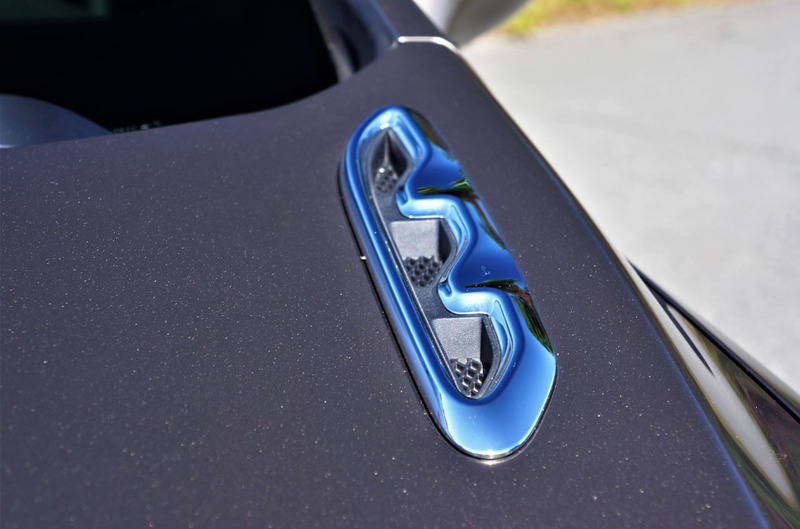 The modern era of the four-ringed Audi brand we know today began in the late 1960s, whereas BMW started producing cars in 1928, although these were rebadged Austin 7s. 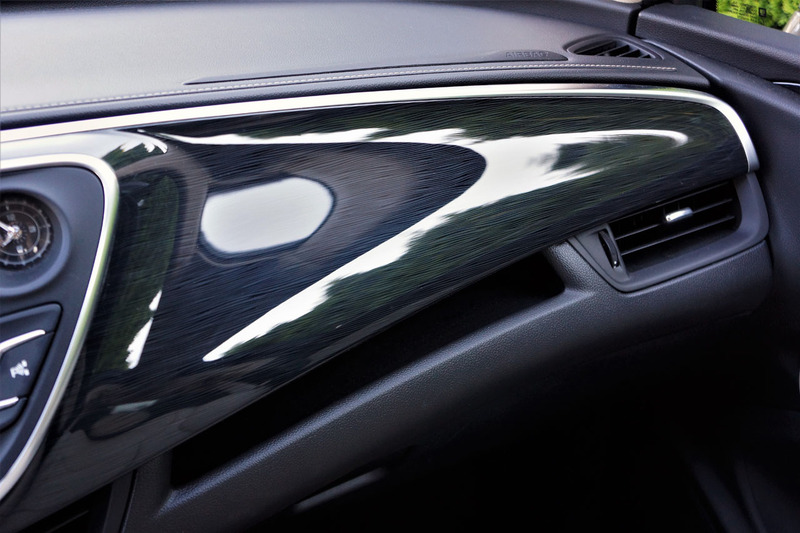 It wasn’t until the 1950s they started building cars of their own design. 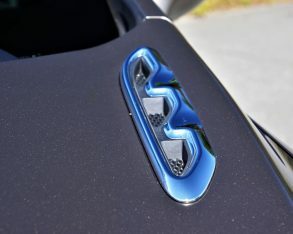 Mercedes? 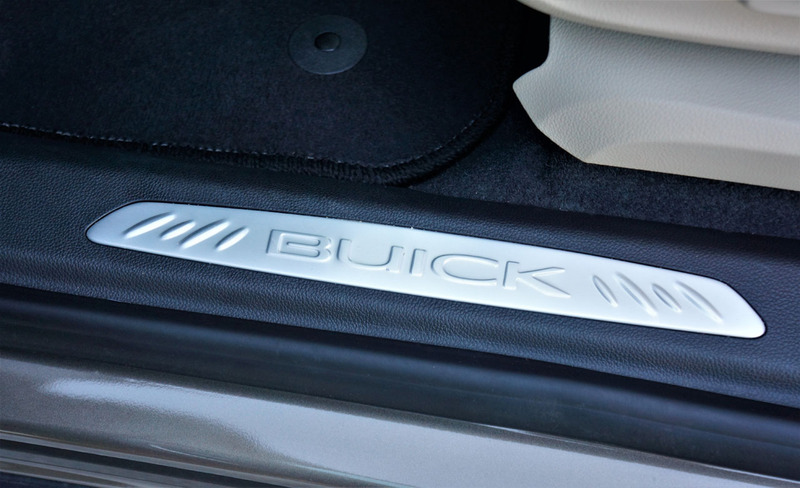 It began as a brand in 1926. 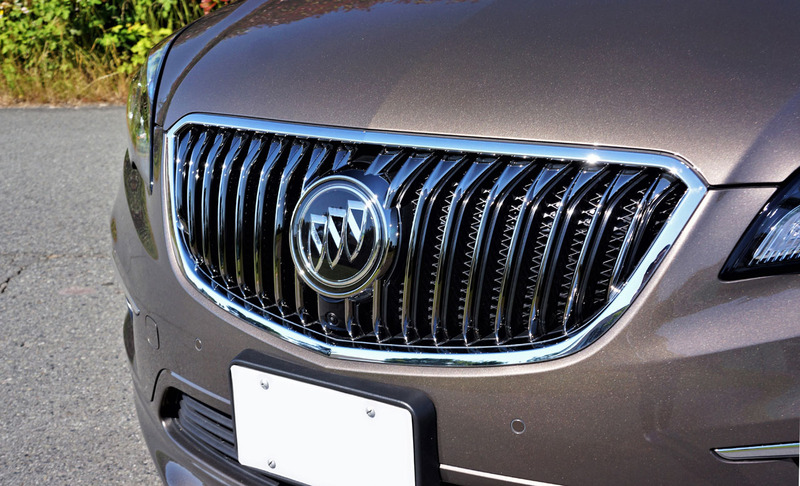 Buick was well established in China long before this. 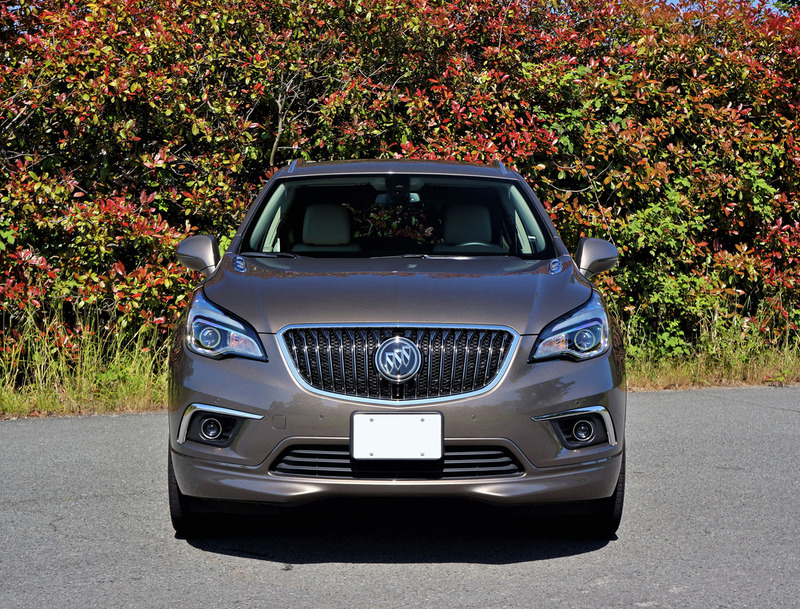 In fact, Pu Yi, the last emperor of China, and Dr. Sun Yat-sen, the country’s first provisional president, used early Buick models. 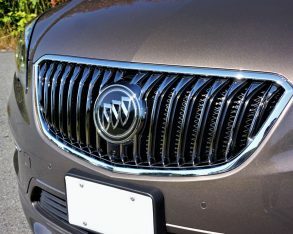 What’s more, by 1930 one of every six cars in Shanghai was a Buick. 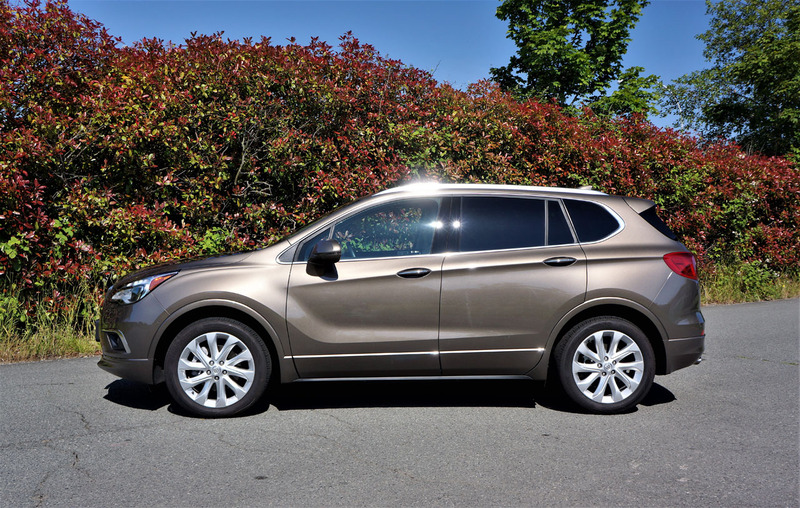 subcompact premium SUV category with 4,765 sales, but its Encore is priced nearly $10k lower than its closest competitor so it’s not really a true premium player there. 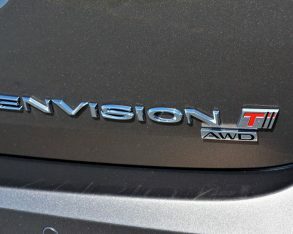 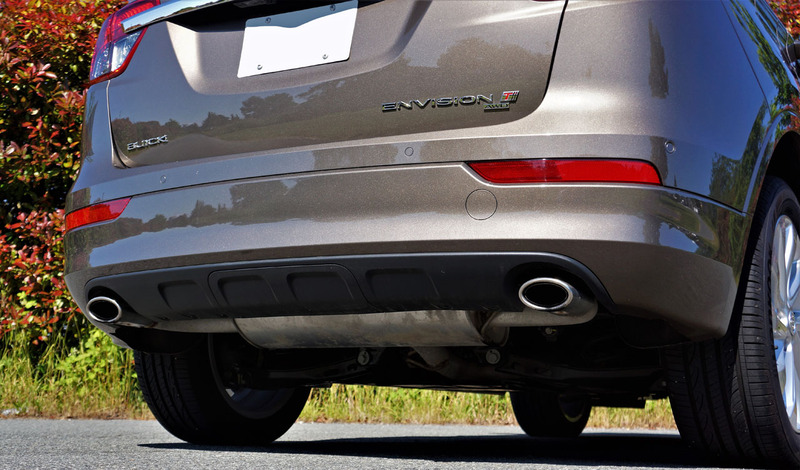 The Envision is, however, in both its pricing that starts at $40,295 plus freight and fees, which is near the bottom of the premium pack, and its standard and available feature set. 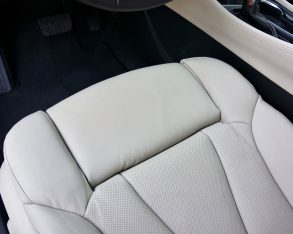 As for materials quality it’s a mixed bag. 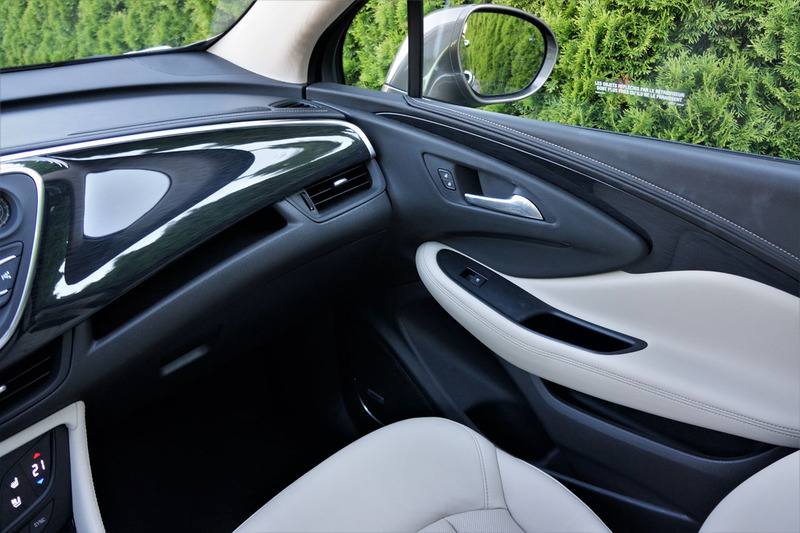 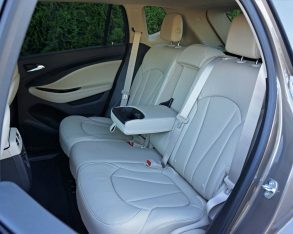 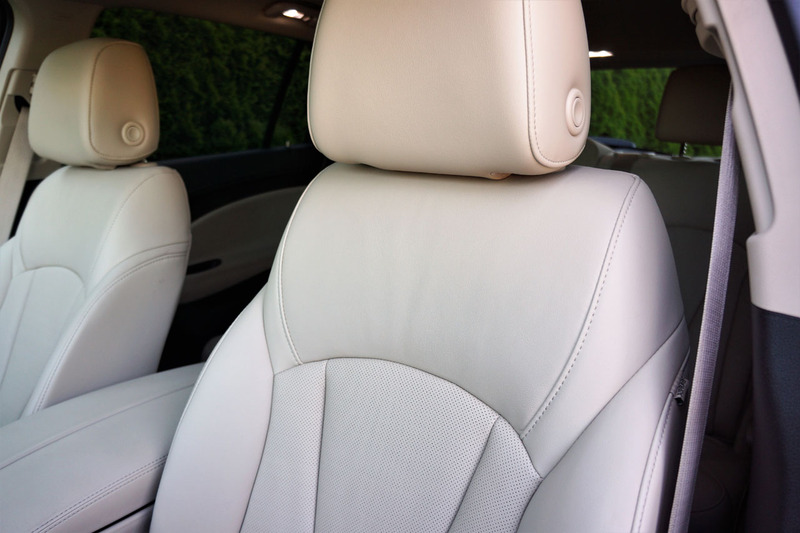 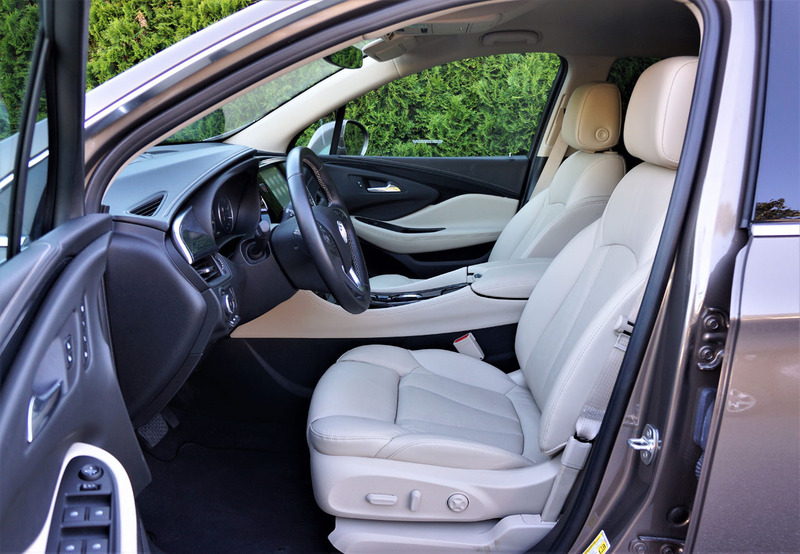 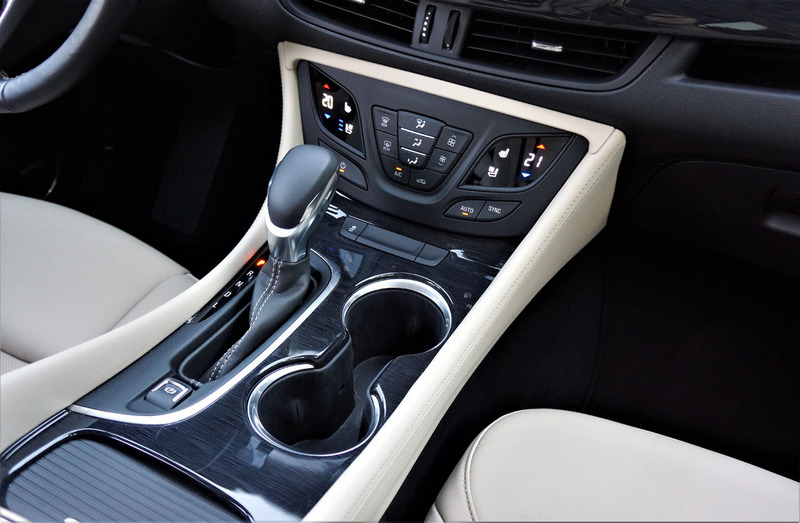 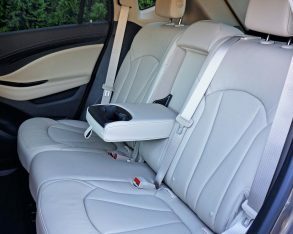 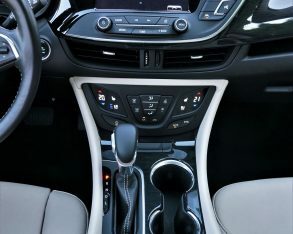 Given a cursory glance the design is elegantly attractive in a traditional Buick way, with plenty of glossy woodgrain, tastefully applied metal-like brightwork, plus no shortage of both genuine and man-made leathers. 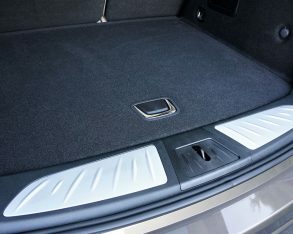 is nicer than many rivals have on offer, but you won’t find any high-quality soft-touch synthetic surfaces below the hips, while in some cases the harder cheap stuff is chest height. 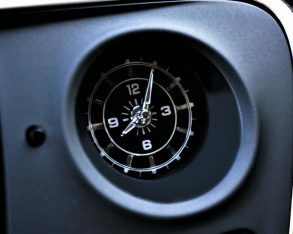 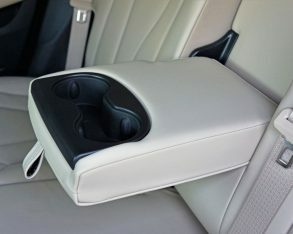 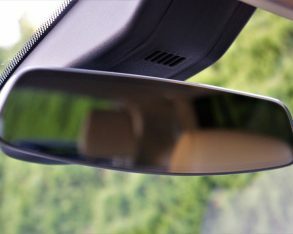 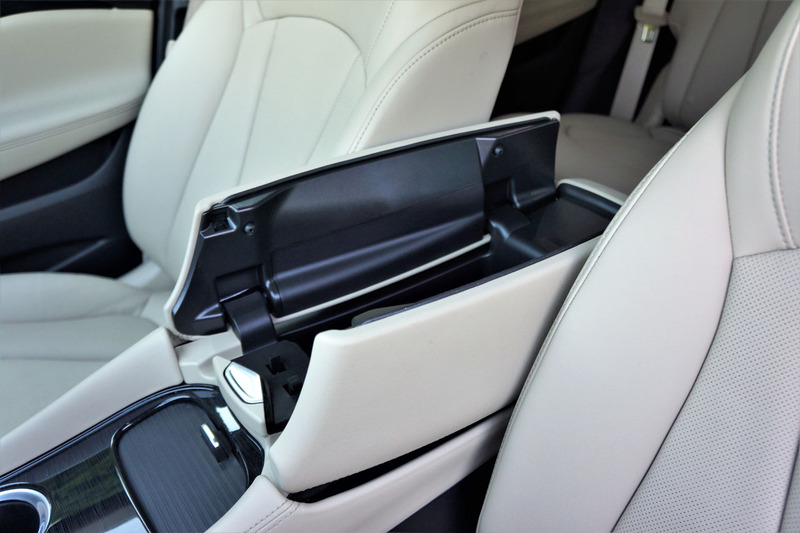 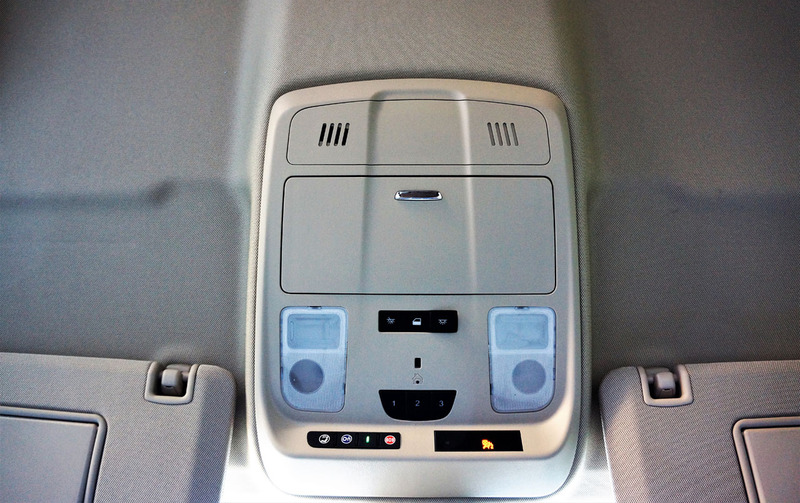 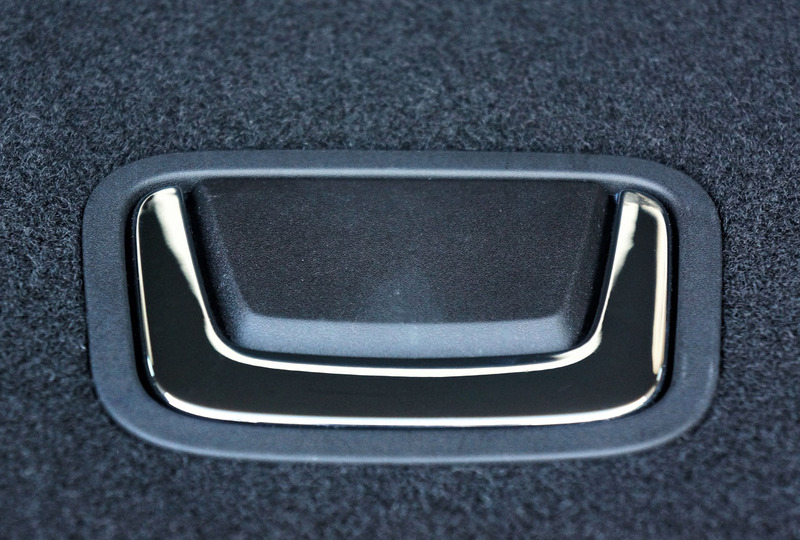 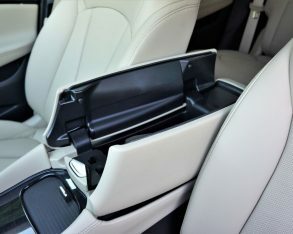 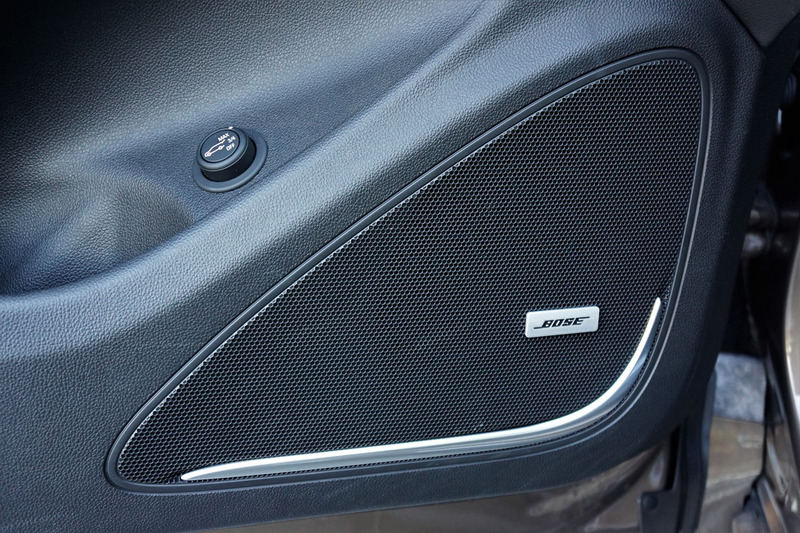 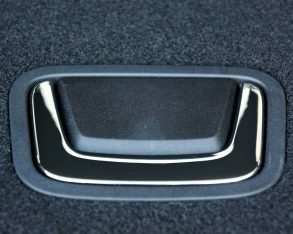 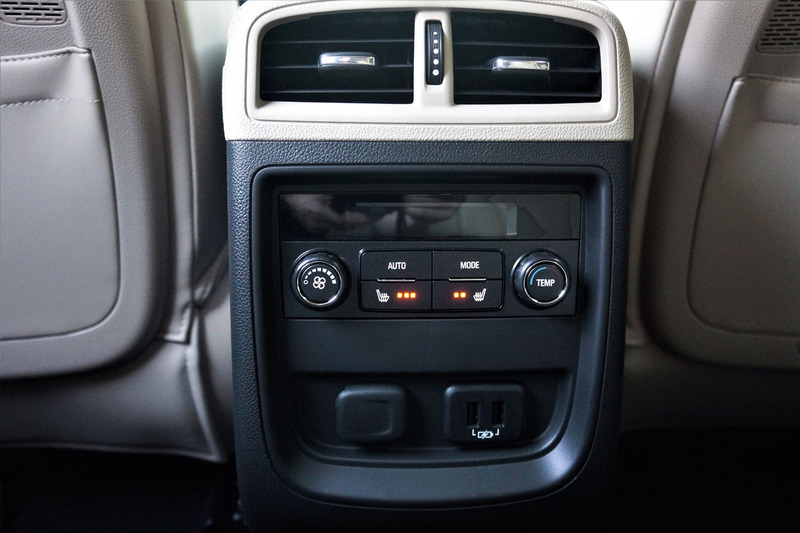 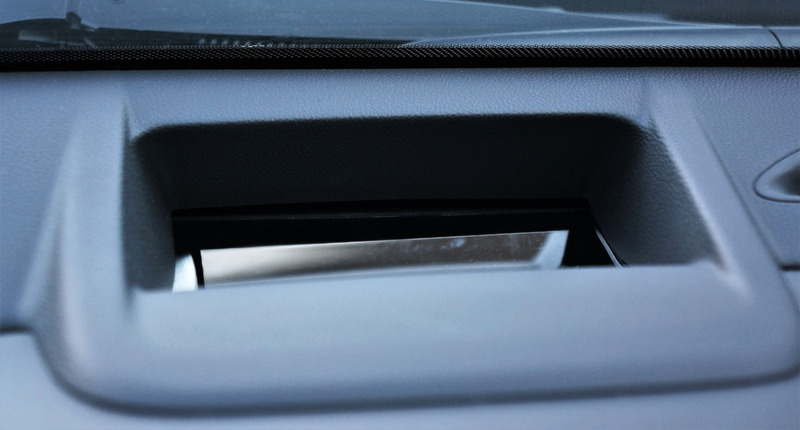 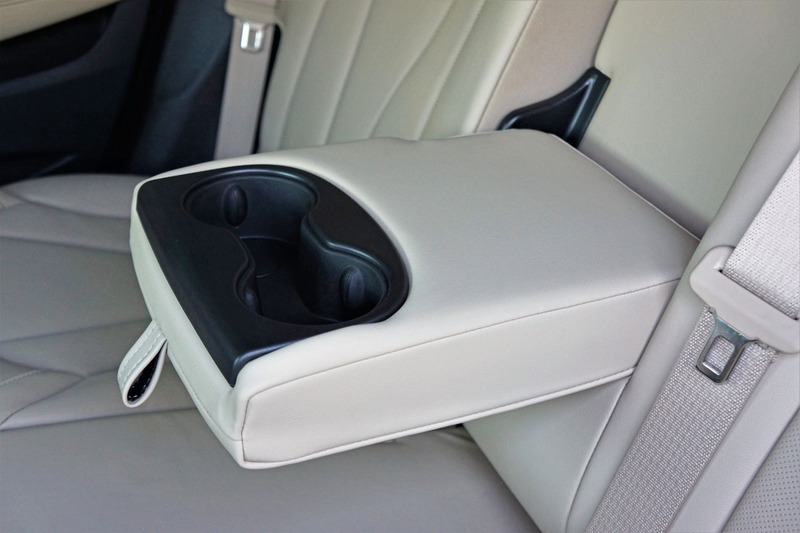 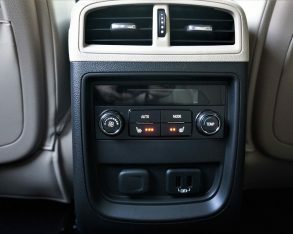 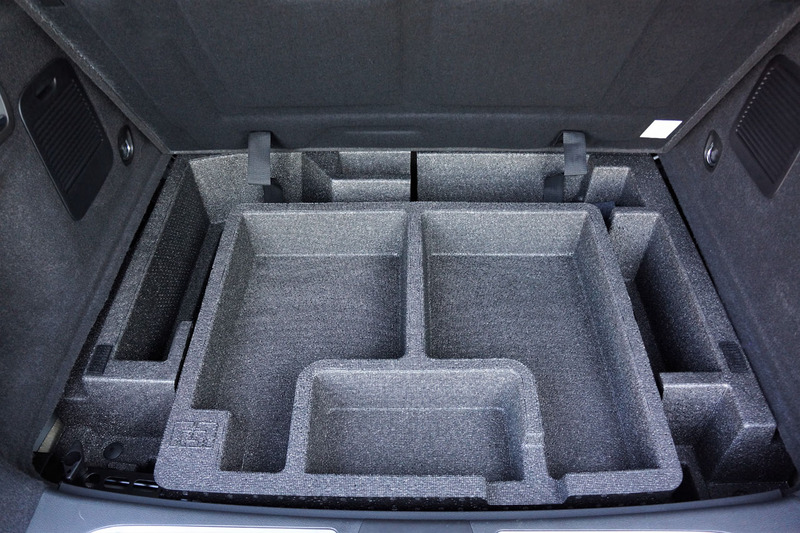 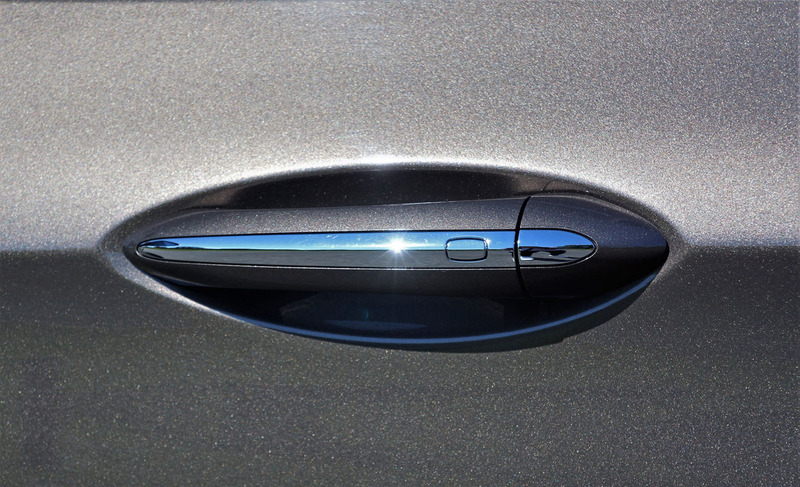 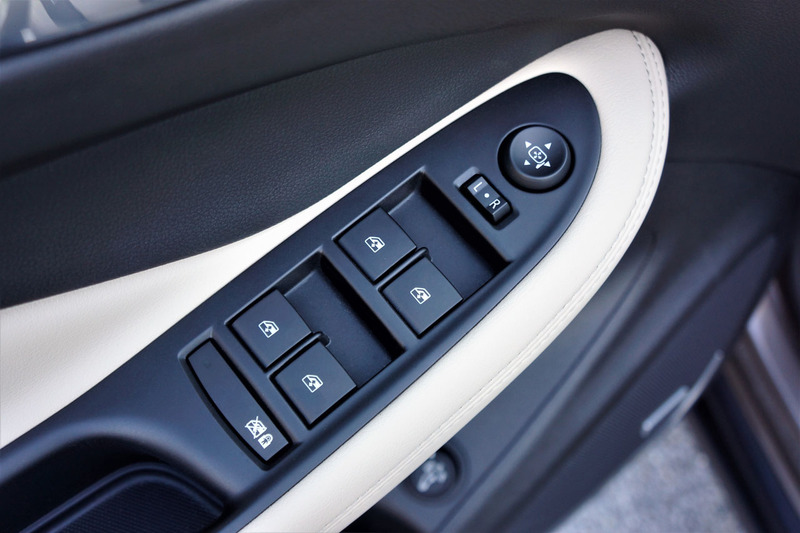 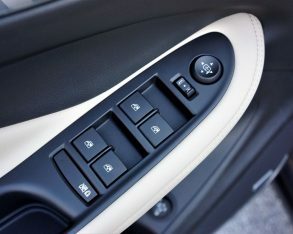 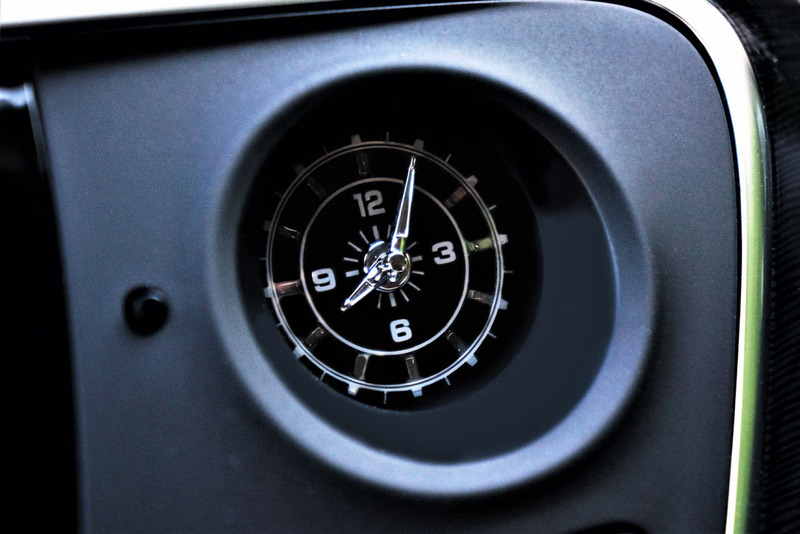 The glove box lid is subgrade plastic too, which is just another misfire in meeting expectations when comparing it to most premium competitors, even those that cost less. 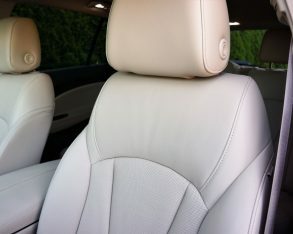 In fact, plenty of non-premium brands do a better job of this. 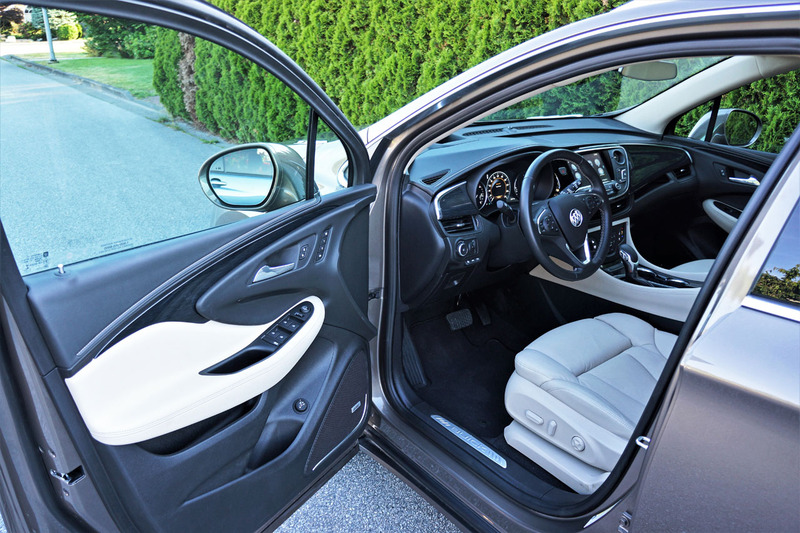 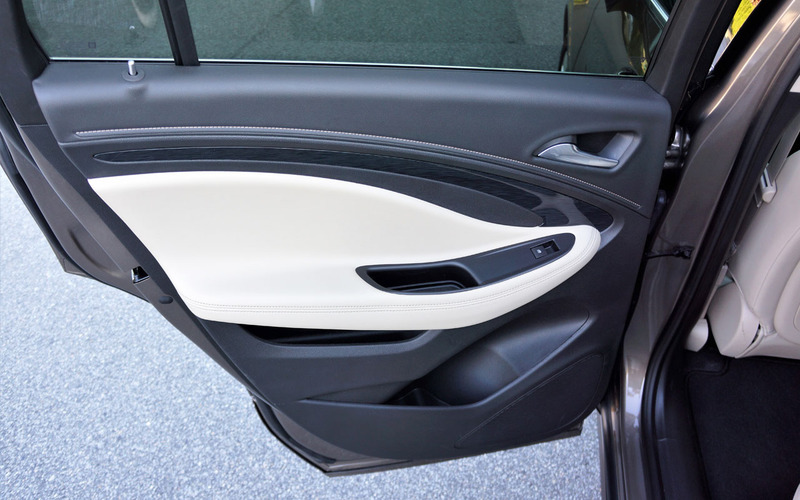 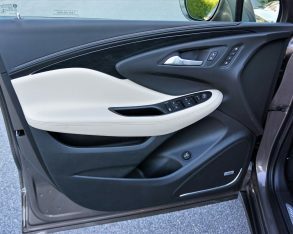 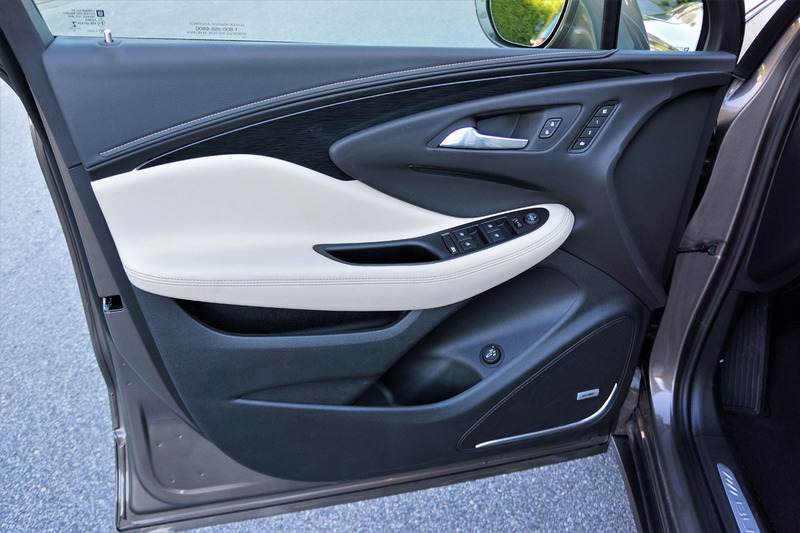 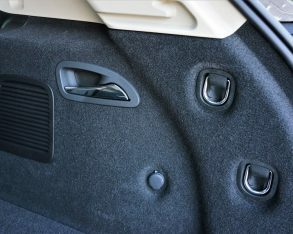 Likewise, parts of the upper door panels and all of their lower halves are hard shell plastic, but not finishing doors off as well as BMW is forgivable as it’s not unusual in this class. 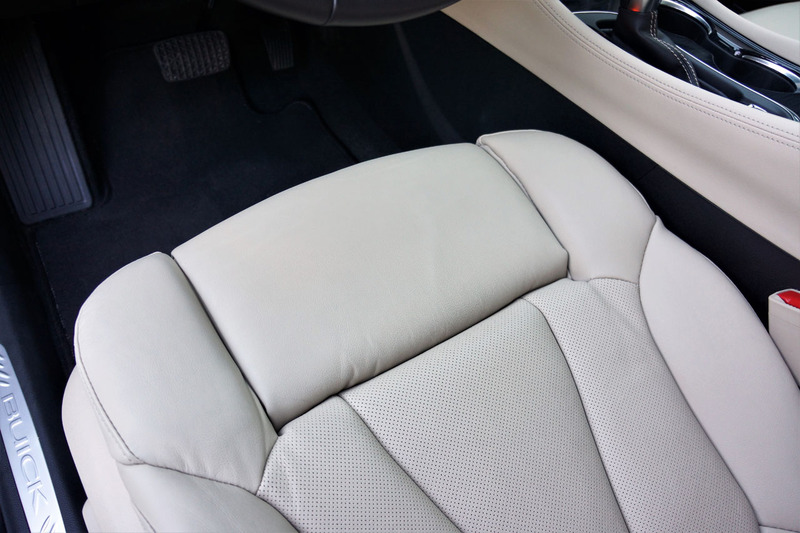 leatherette. 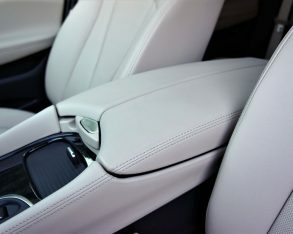 Like I said, it’s a mixed bag of premium and mainstream quality, but unfortunately it comes across as if it were an entry-level brand trying to imitate luxury, not a top-tier player pushing down market. 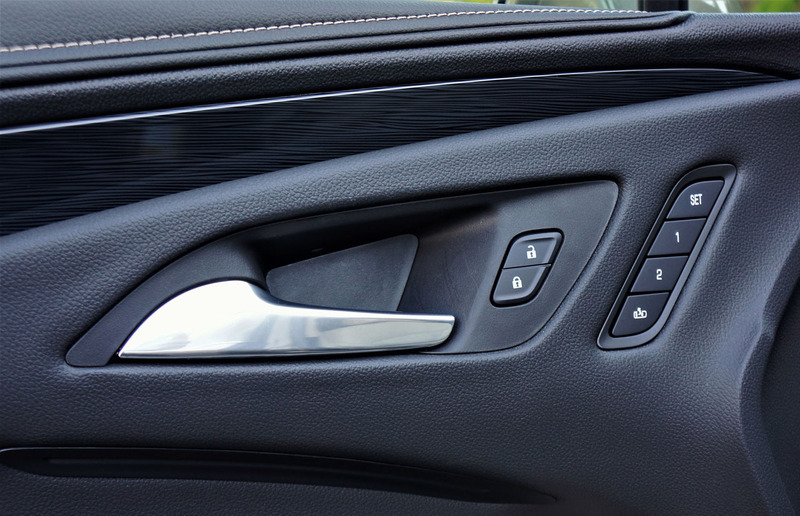 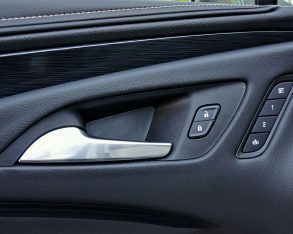 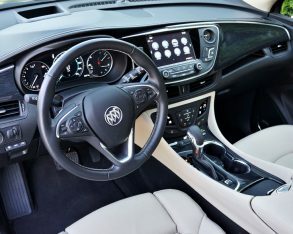 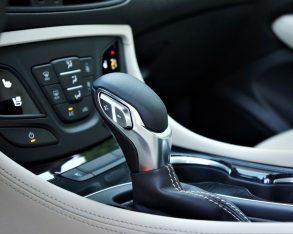 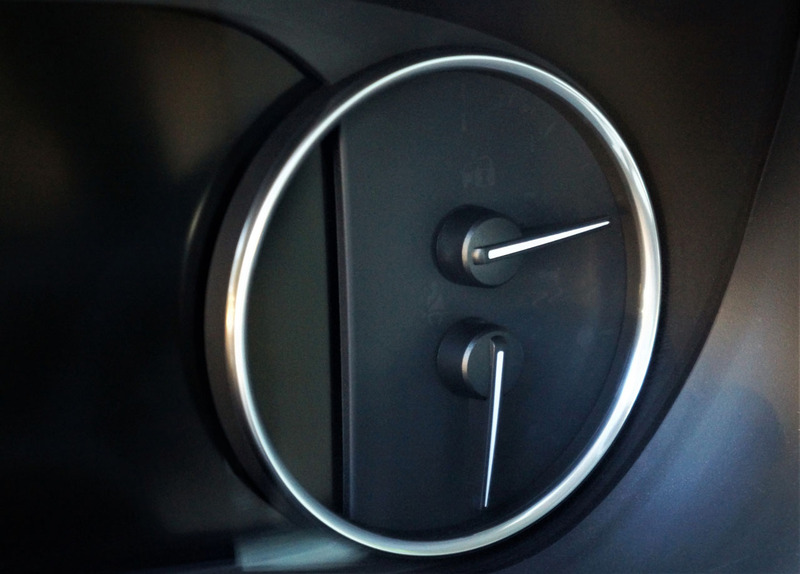 This in mind, most rivals use genuine aluminum or hardwood inlays across the instrument panel and doors, so I was also disappointed with Buick’s choice of faux wood, despite being denser than most of the fake woodgrain it’s used in the past. 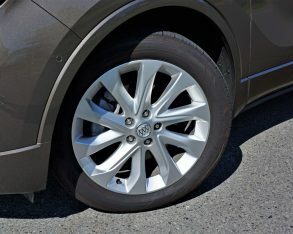 Truly, I almost believed it was real, so I suppose we can give them a partial pass for looking legit while saving trees. 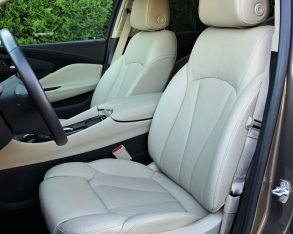 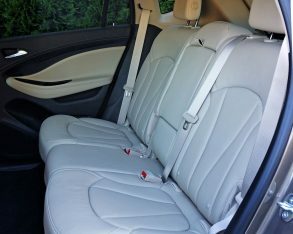 Then again, my top-line tester’s leather upholstery was a bit low rent for the premium class, at least as far as suppleness goes. 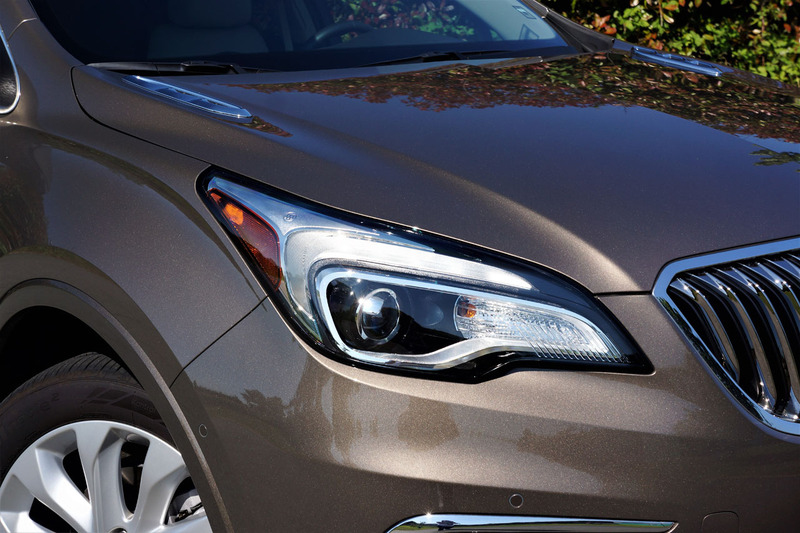 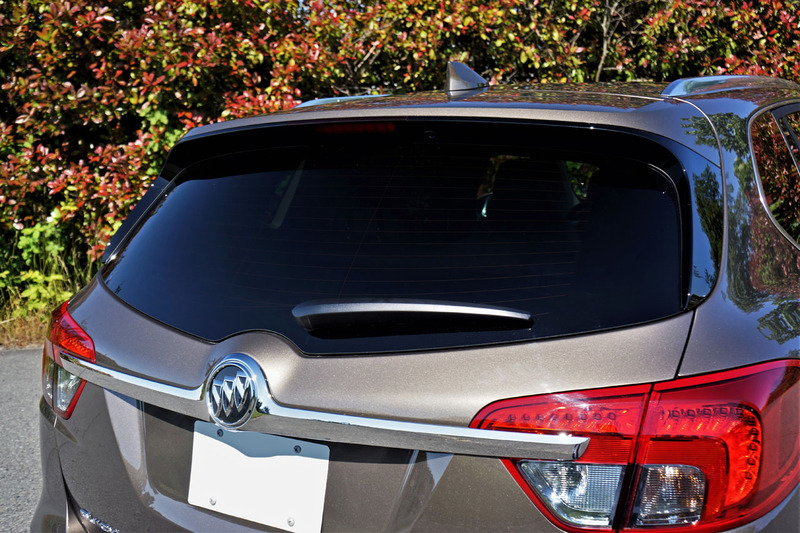 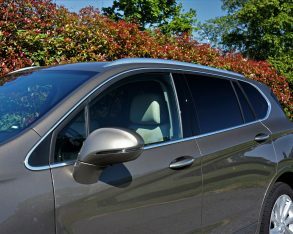 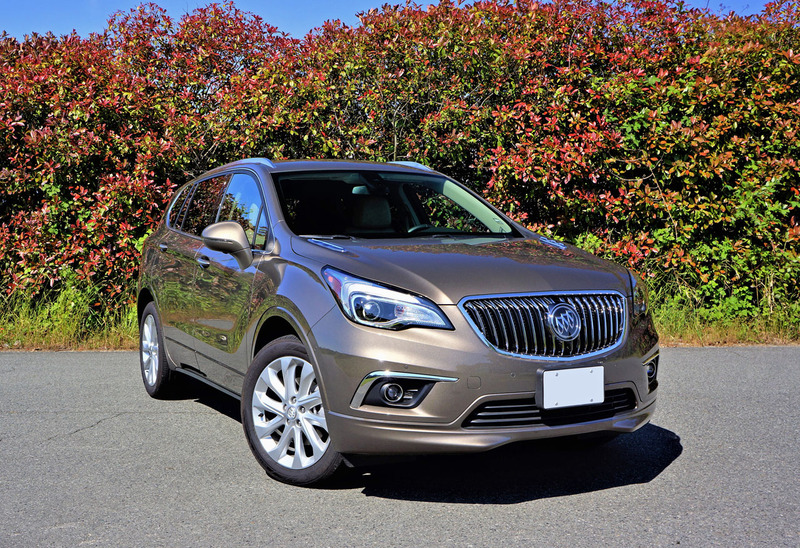 What’s more, Buick wraps the front roof pillars in fabric yet doesn’t apply this de rigueur luxury feature anywhere else, so once again the Envision doesn’t measure up to the class average. 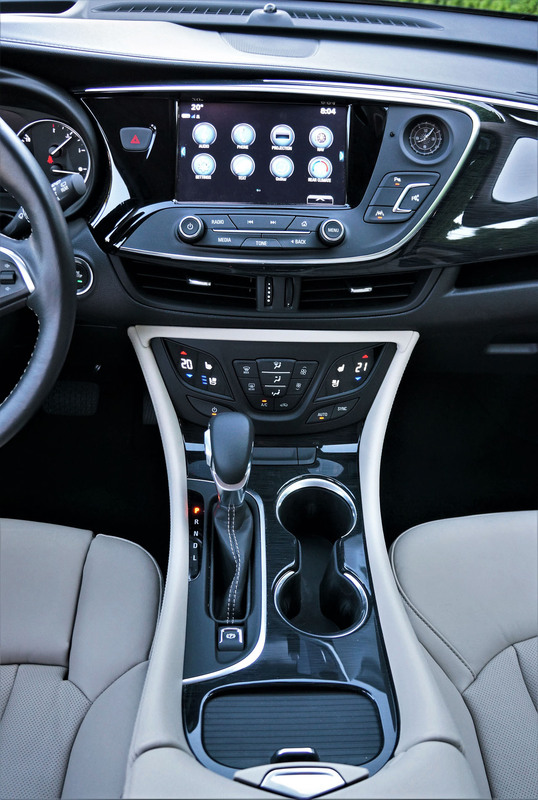 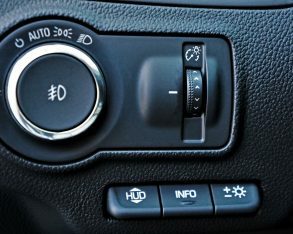 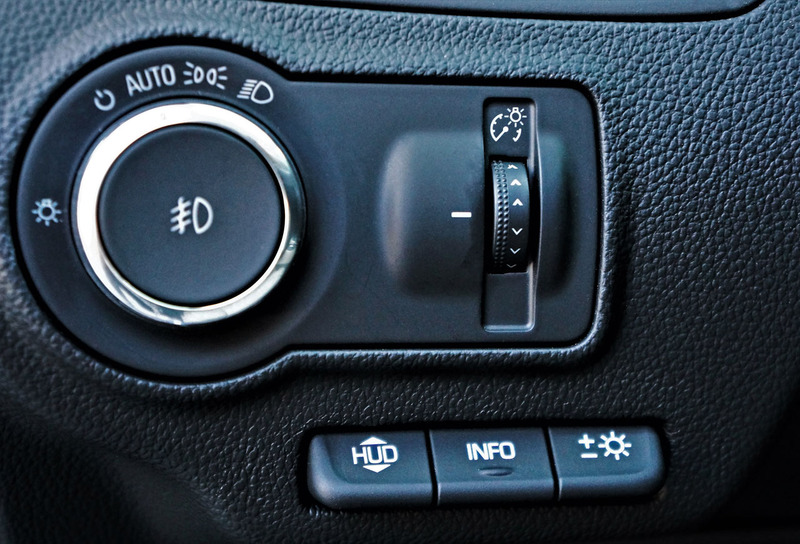 switchgear was pretty good, albeit no better than you’d find in a higher end Chevy, and ditto for the half-digital dash and infotainment touchscreen, although in this respect it’s more because all GM products are now doing a great job with their digital displays. 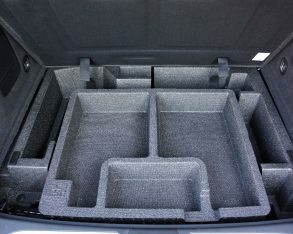 press model’s packaging. 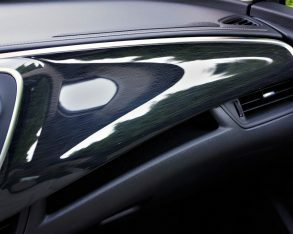 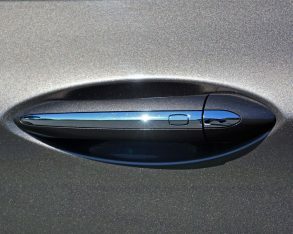 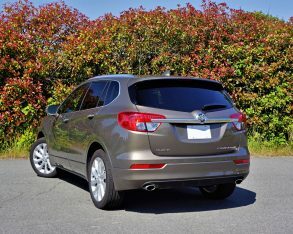 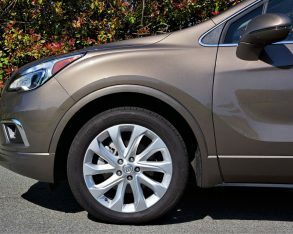 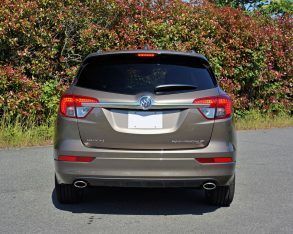 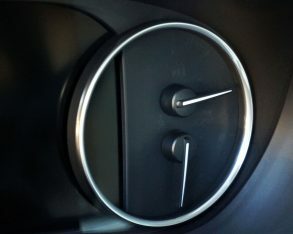 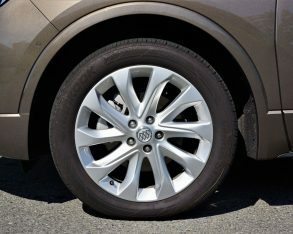 Buick also offers a sportier looking set of machine-finished 19-inch multi-spoke alloys with metallic grey painted pockets, while a $1,975 Driver Confidence package adds full-speed range adaptive cruise control with stop and go, a 360 Surround Vision parking camera, and autonomous emergency braking, but no such luck. 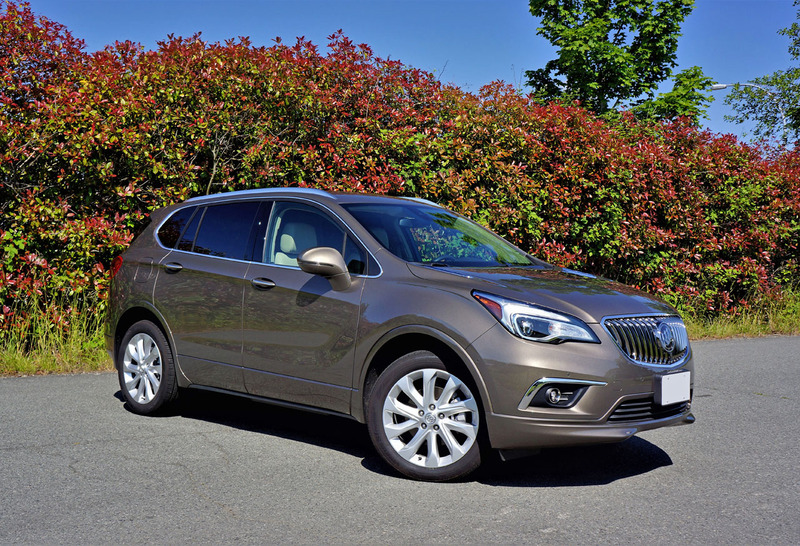 I can only guess the powers that be in Oshawa didn’t want we journos griping about the price tag rubbing up against $60k when fully optioned out, which left my tester costing $49,665 before freight and fees, instead of its fully loaded MSRP of $56,825. 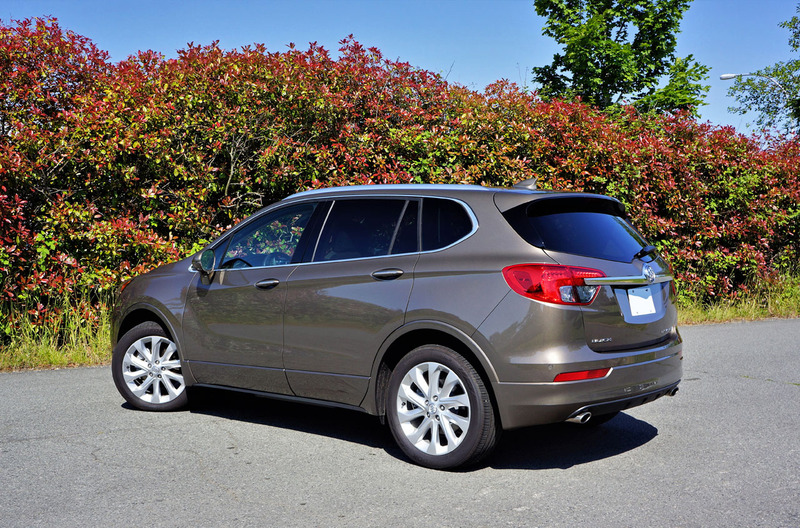 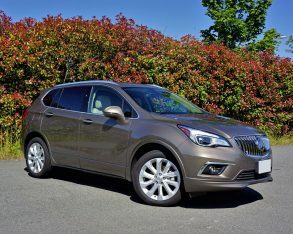 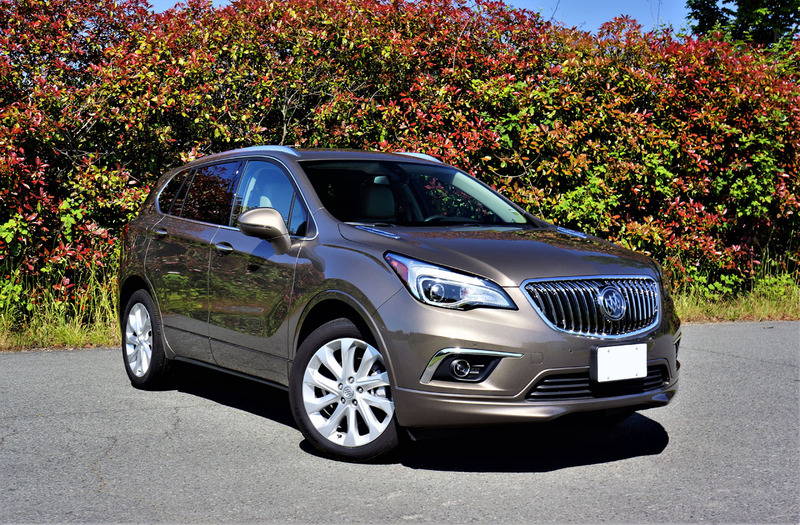 Of course, add similar features to one of the Envision’s competitors and you’ll face similar sticker shock, or considerably more if it’s European-sourced, which makes this Buick a more value-oriented premium compact SUV, and reason enough for its reasonably strong early sales. 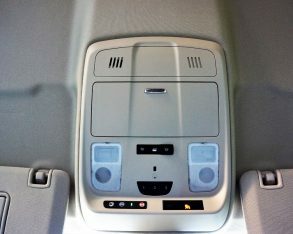 it was, my unadorned Premium II tester came well stocked, its list of exclusive features including articulating HID headlamps with auto high beams, semi-autonomous self-parking, a head-up display that projects key info onto the windshield, adjustable driver’s seat thigh support, and ventilated front seats, while navigation is standard with Premium II trim but optional with lesser variants. 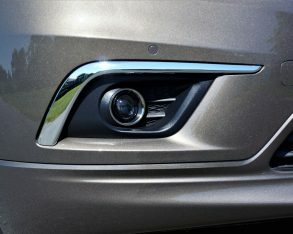 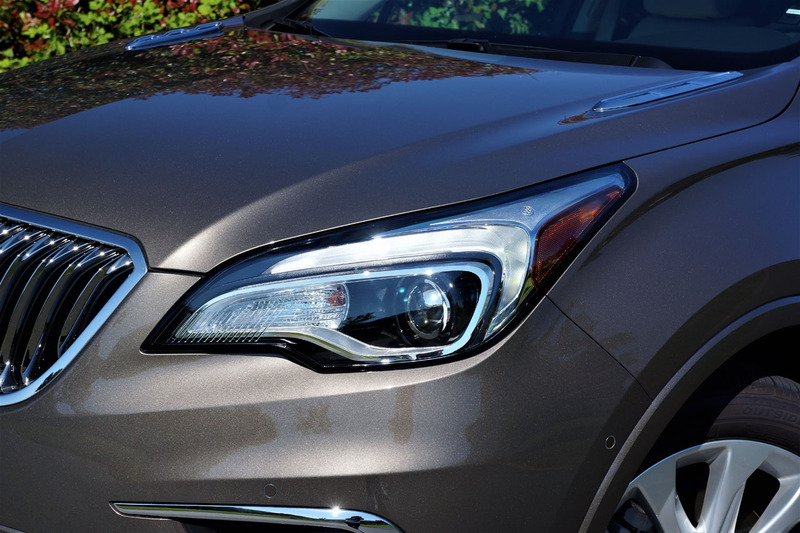 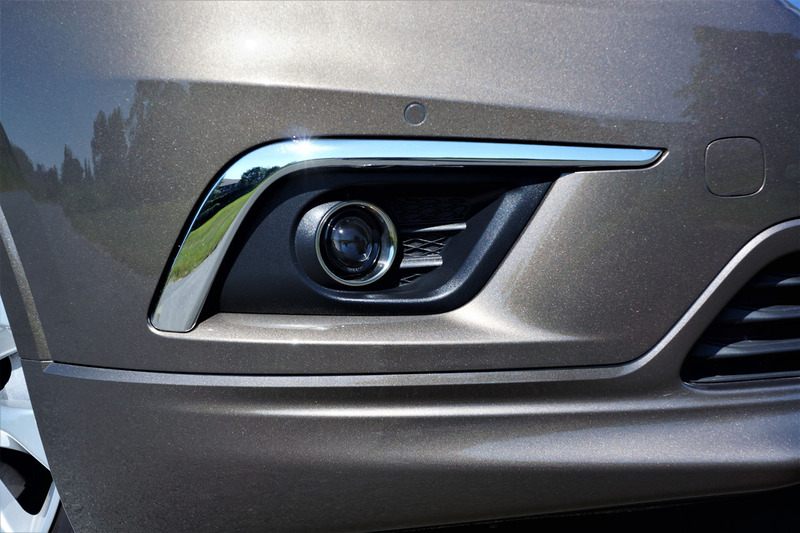 Thanks to those just noted headlights upgrades, top-tier Envisions earn IIHS Top Safety Pick Plus status, while all Envision trims get five stars from the NHTSA. 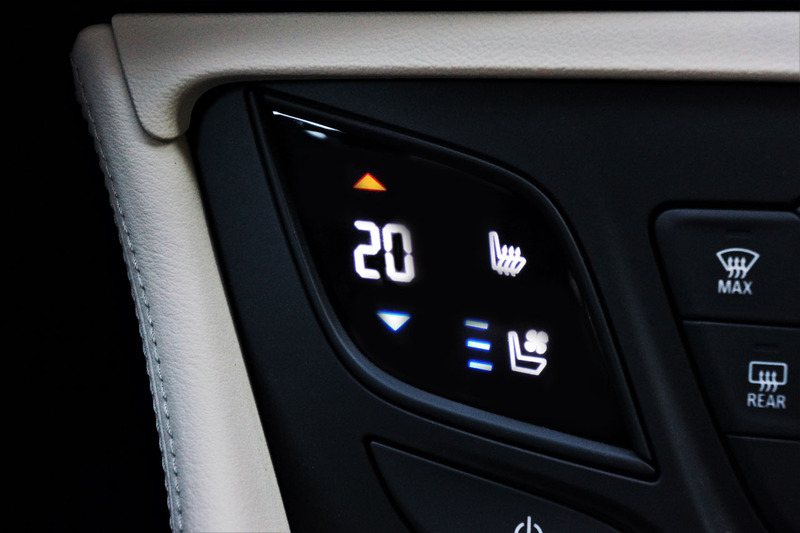 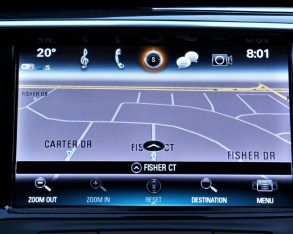 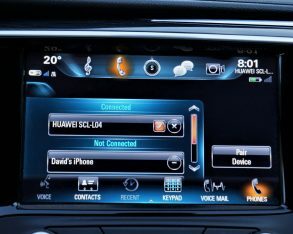 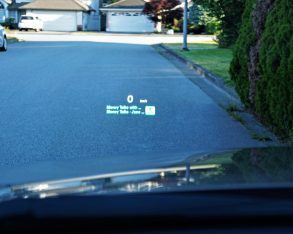 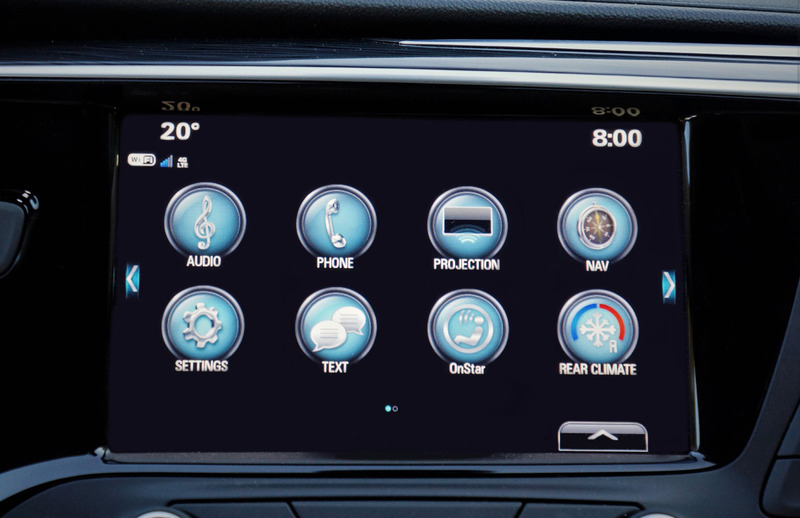 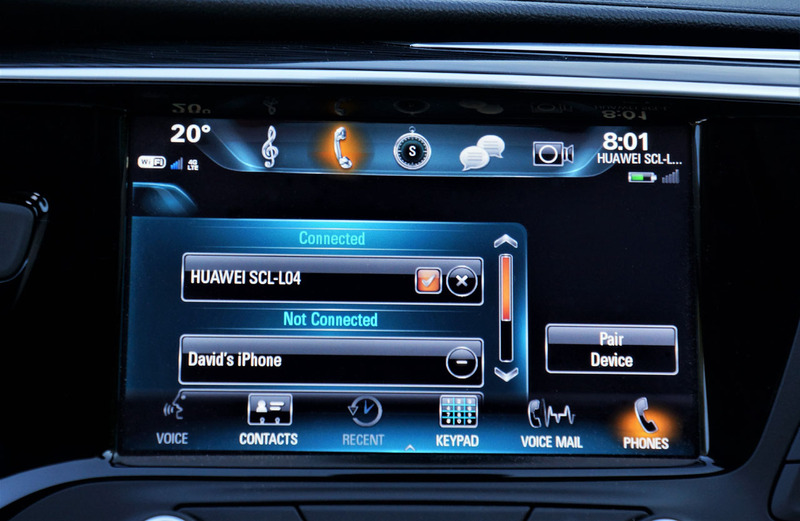 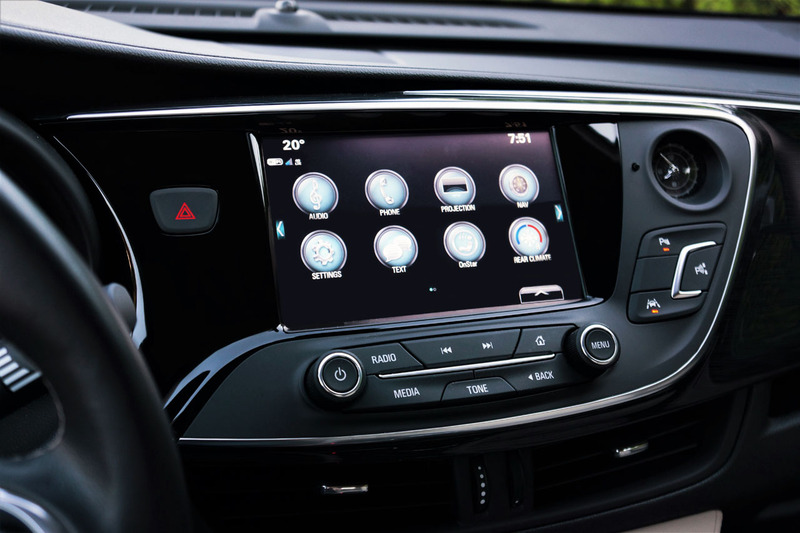 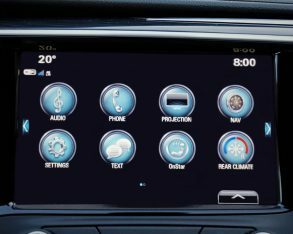 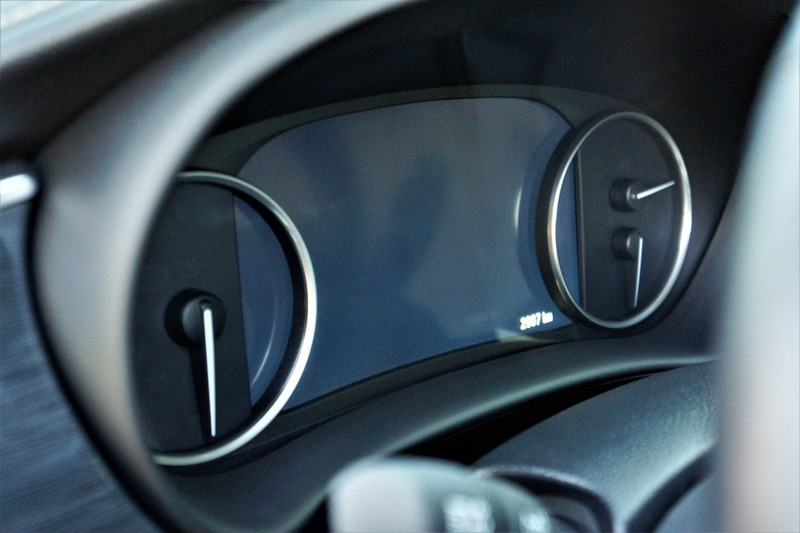 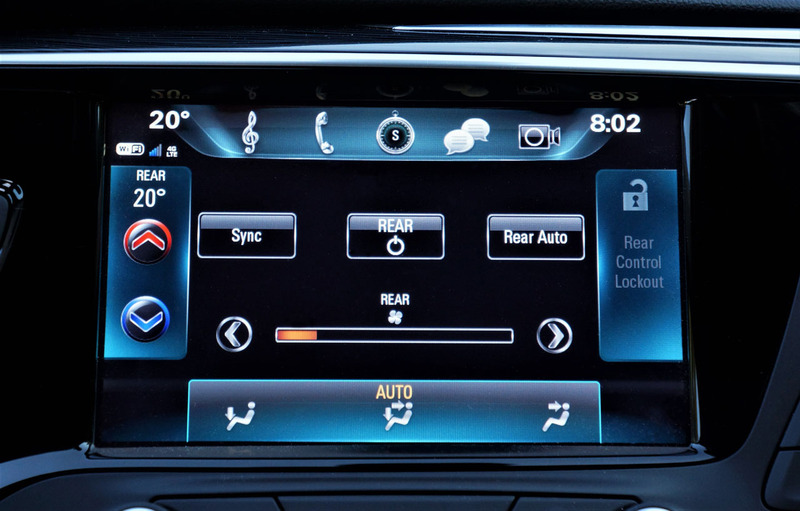 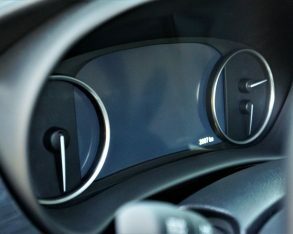 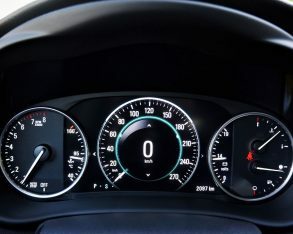 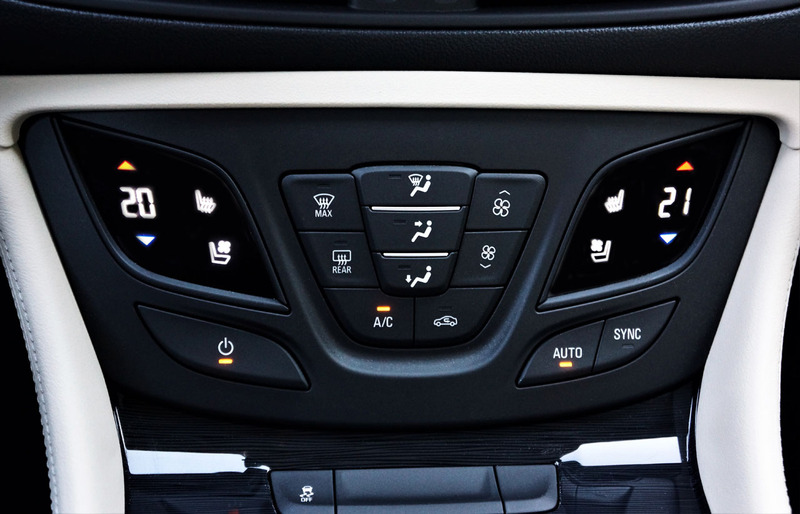 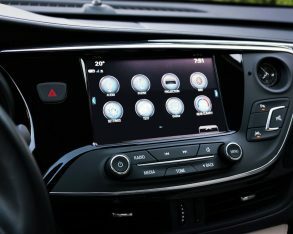 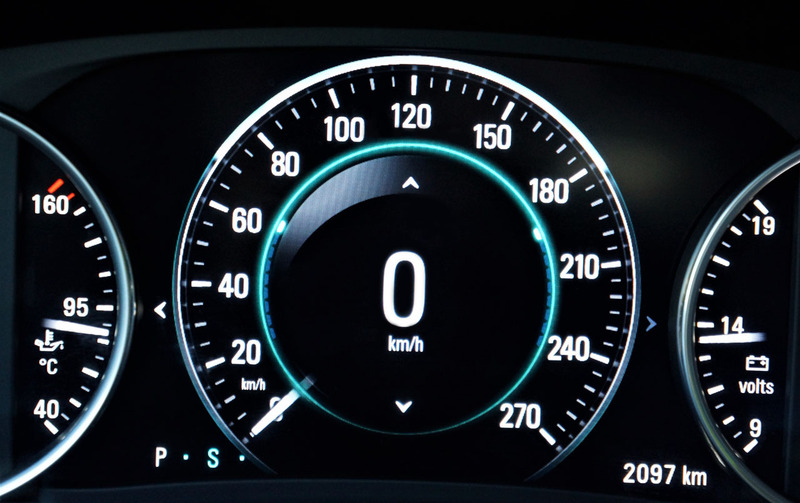 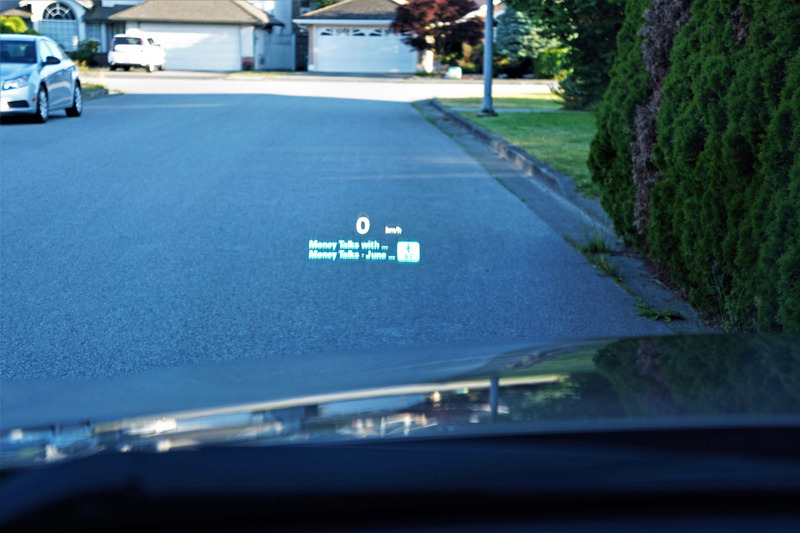 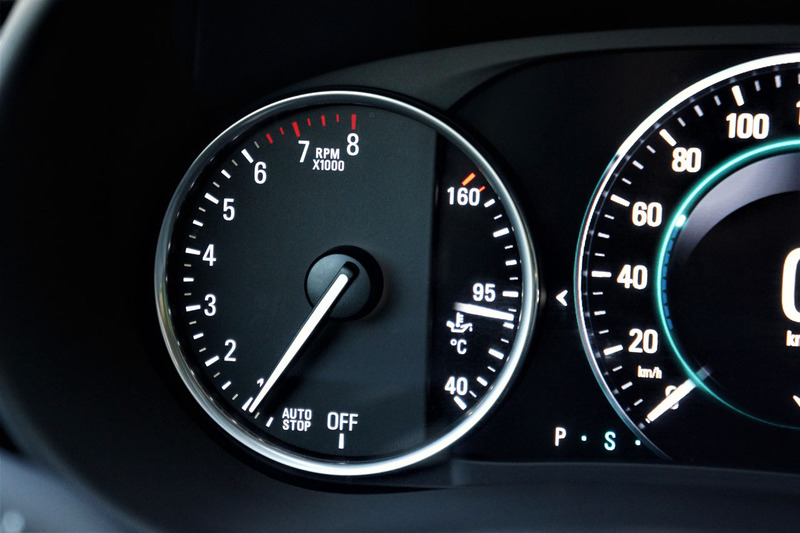 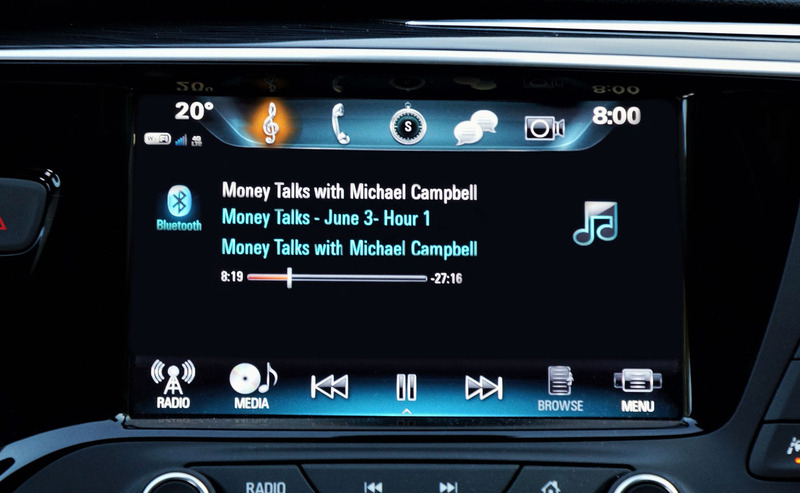 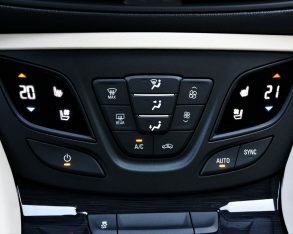 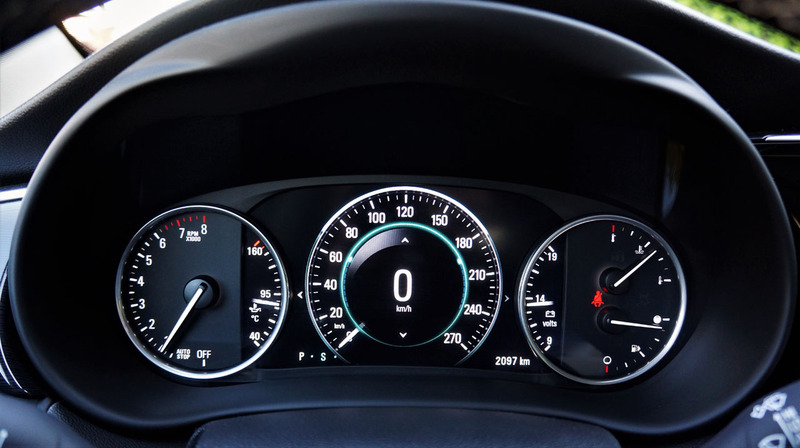 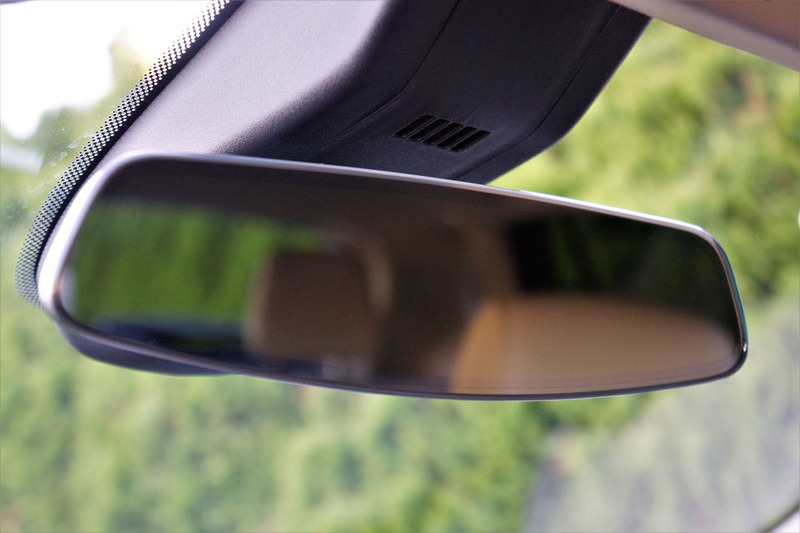 cross-traffic alert, lane departure warning with lane keeping assist, a driver’s seat safety alert that buzzes when the above safety systems give warning, tire pressure monitoring, rain-sensing wipers, an auto-dimming rearview mirror, tri-zone auto climate control, Buick’s 8.0-inch IntelliLink infotainment touchscreen with Apple CarPlay and Android Auto smartphone integration, two USB ports, Bluetooth phone and audio streaming, and a review camera, plus front and rear parking sensors, OnStar 4G LTE with built-in Wi-Fi, great sounding seven-speaker Bose audio with a sub-woofer and external amplifier, satellite radio, active noise cancellation, powered front seats with driver memory, heated front and rear outboard seats, leather upholstery, a household-style 110-volt charger on the backside of the front centre console, a hands-free powered liftgate, larger rear disc brakes, active twin clutch enhanced all-wheel drive, a 3.17 final drive ratio instead of 3.50, dual stainless steel exhaust, and a more powerful engine. 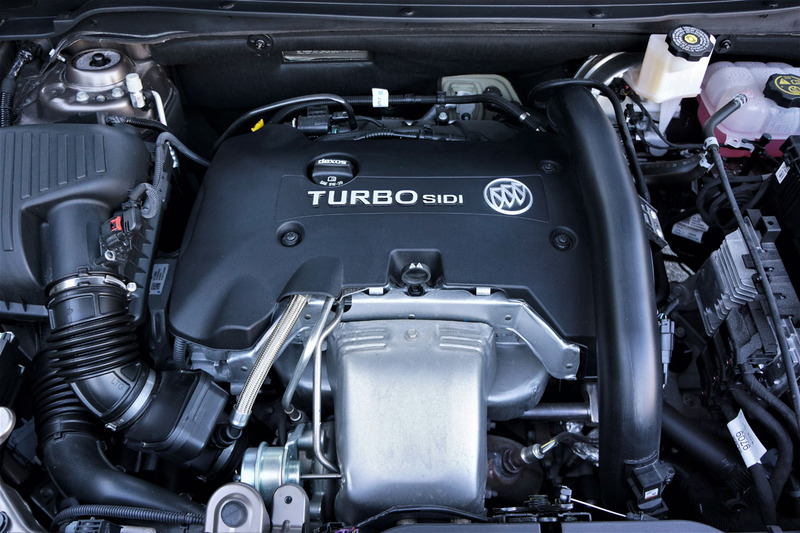 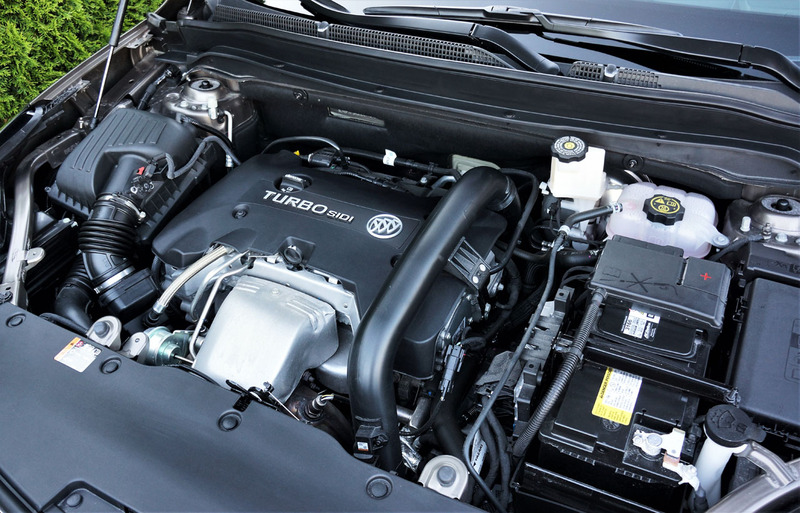 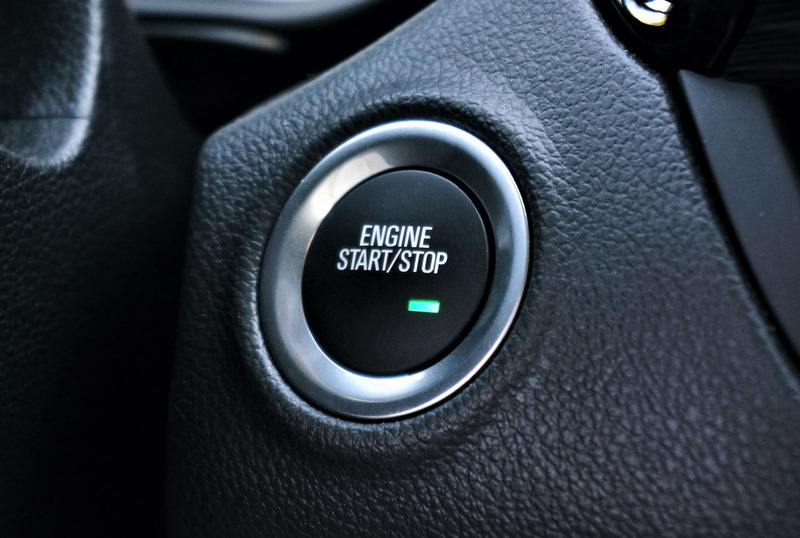 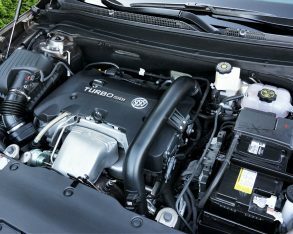 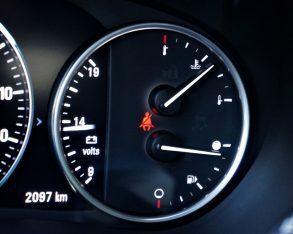 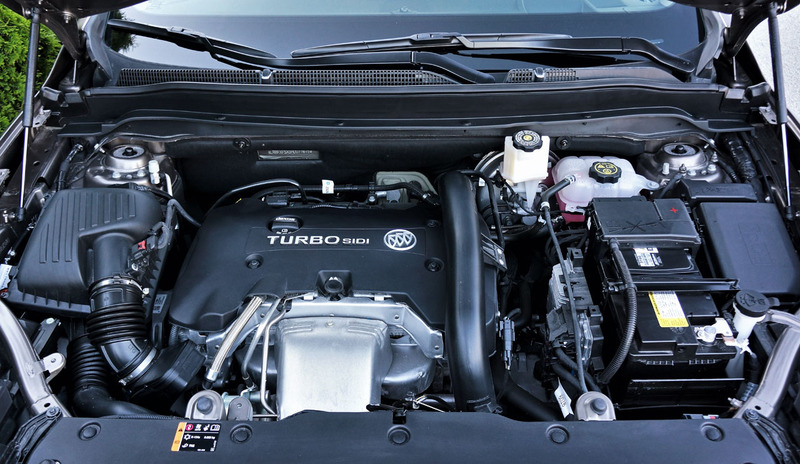 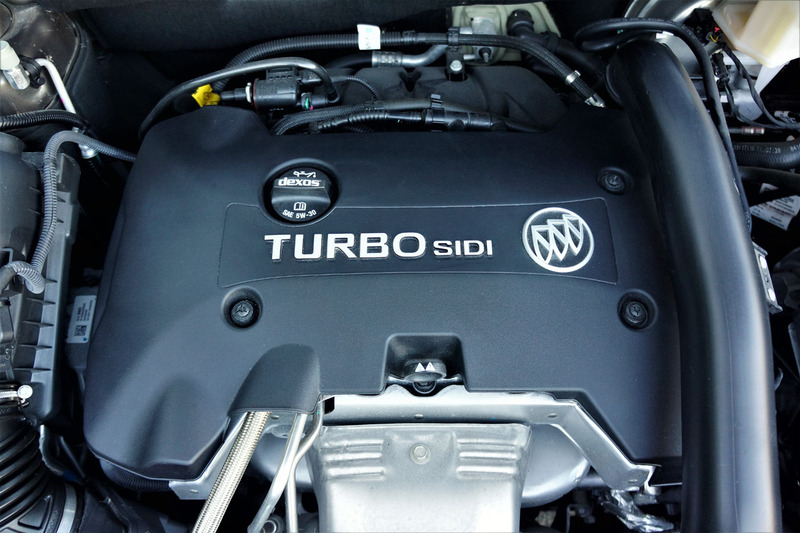 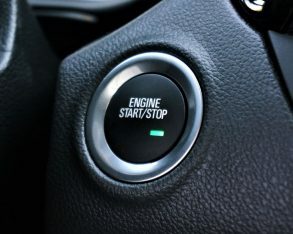 base engine is a 2.5-litre four-cylinder that provides a decently robust 197 horsepower and 192 lb-ft of torque plus start/stop technology that temporarily shuts off the engine when it would otherwise be idling and then automatically restarts it when ready to go, helpful for both improving fuel economy and reducing emissions. 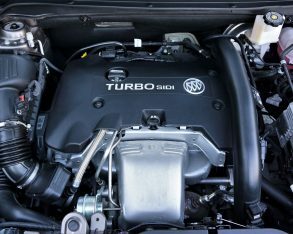 I haven’t tested this engine so I can’t comment on performance, but there are certainly less potent offerings in the class. 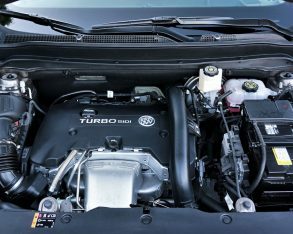 The smaller displacement 2.0-litre four-cylinder is the better choice due to turbocharging, the result being 252 horsepower and 260 lb-ft of torque for V6-like acceleration without V6-like fuel consumption. 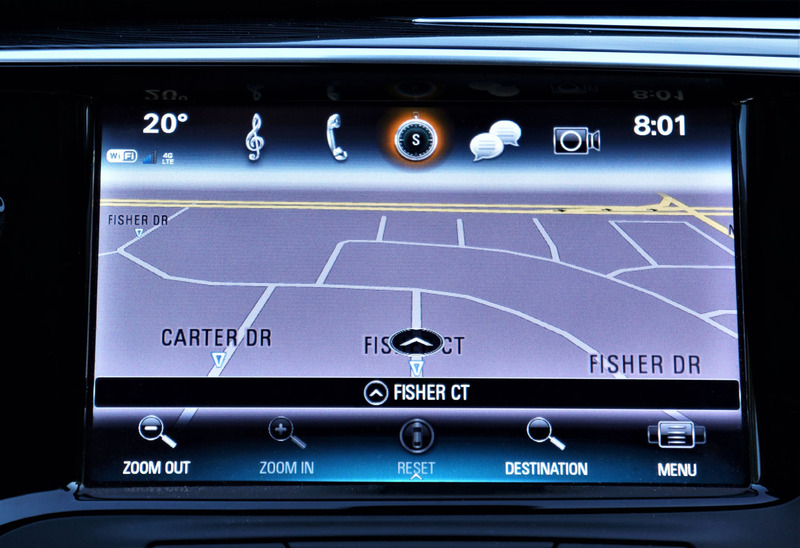 8.4 highway, and 9.9 combined. 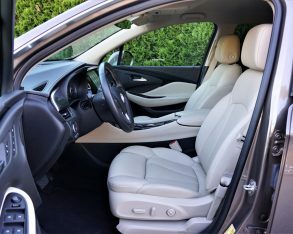 Just for interest, the Acura RDX I compared it to earlier does pretty well at 12.4 city, 8.7 highway, and 10.7 combined despite its standard 279 horsepower 3.5-litre V6 and torque-vectoring AWD. 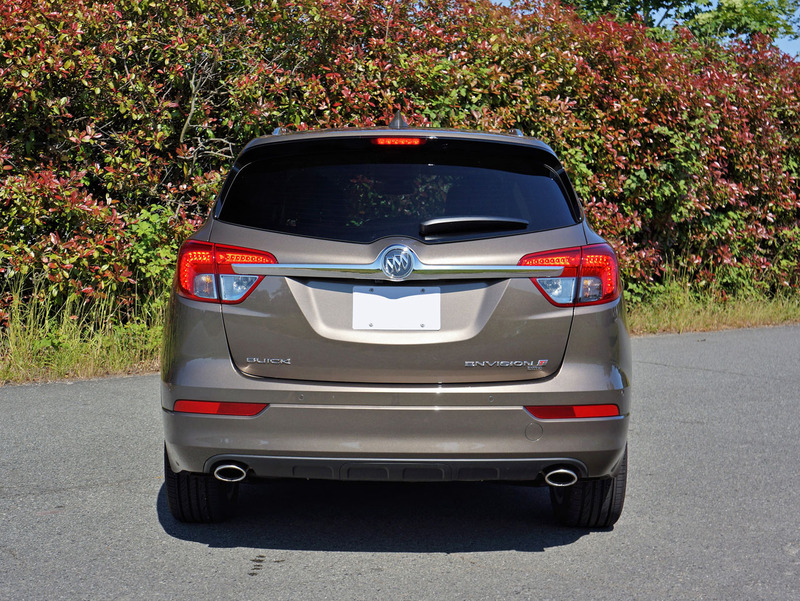 to balance handling and ride quality might be this SUV’s most endearing attribute. 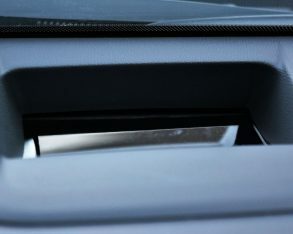 It planted itself well on the highway too, and kept quiet enough other than a bit too much wind noise around the front pillars. 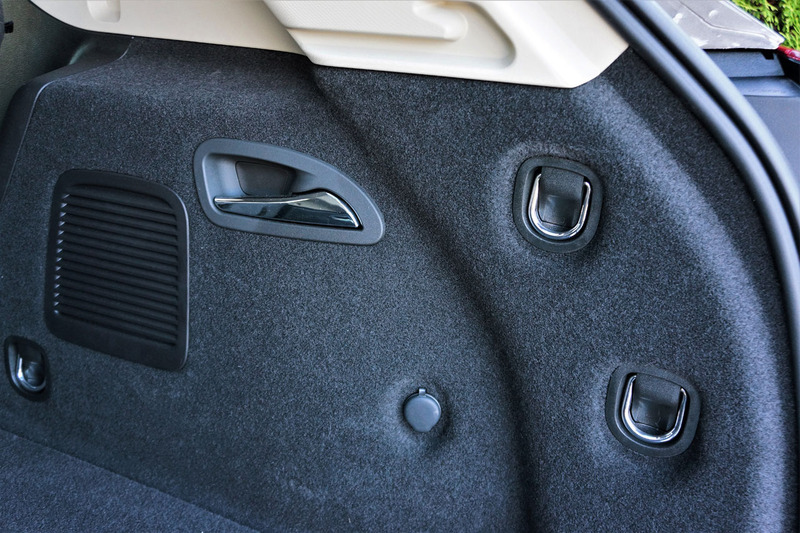 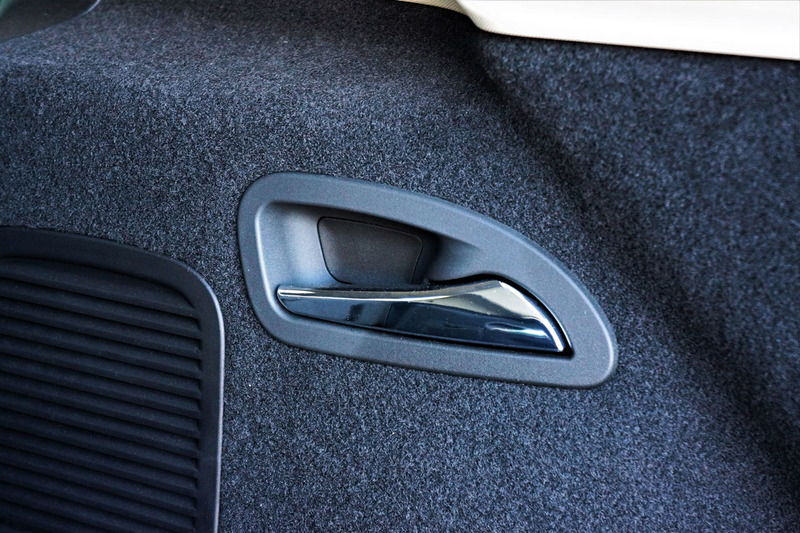 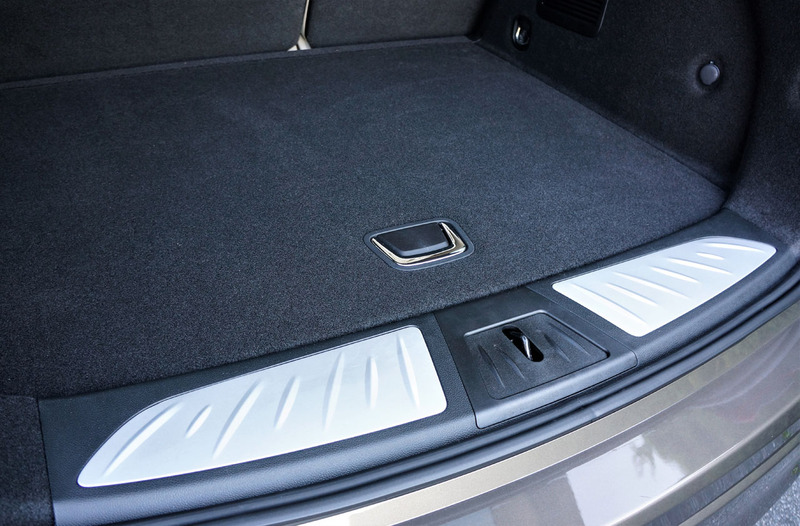 Another surprise was how nicely finished the cargo compartment was, with upscale carpeting, chromed tie-down rings, and a chromed handle for lifting the load floor up and accessing a removable divided compartment and the spare tire below. 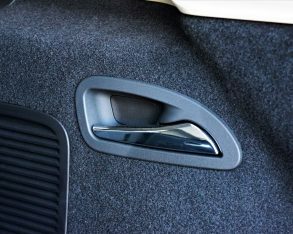 Even better, chromed levers on the cargo sidewalls lowered each portion of the 60/40-split rear seatbacks automatically. 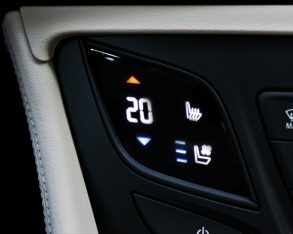 On that note, GM hasn’t learned how convenient it is to live with 40/20/40-split seatbacks and doesn’t offer a centre pass-through either, so someone in back will no doubt be complaining about not getting to use the outboard seat heaters when heading home from the ski hill. 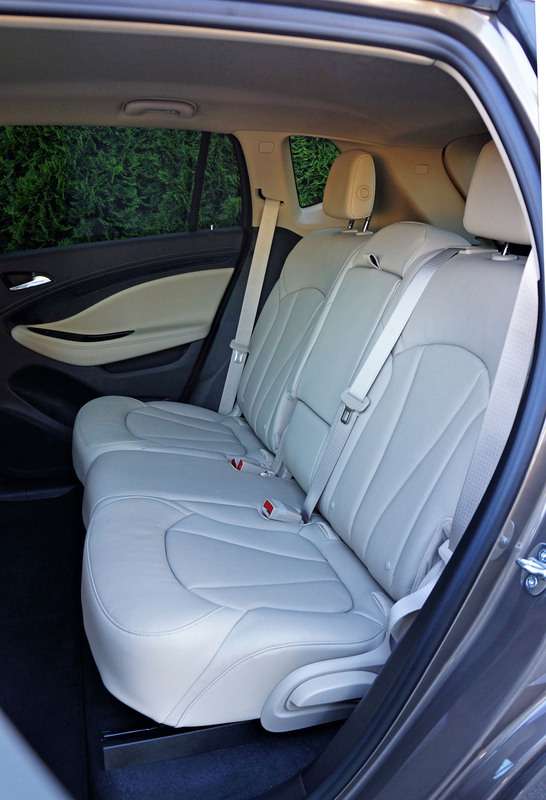 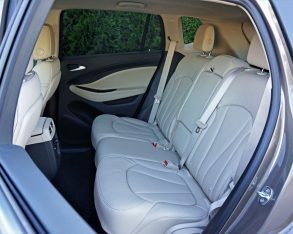 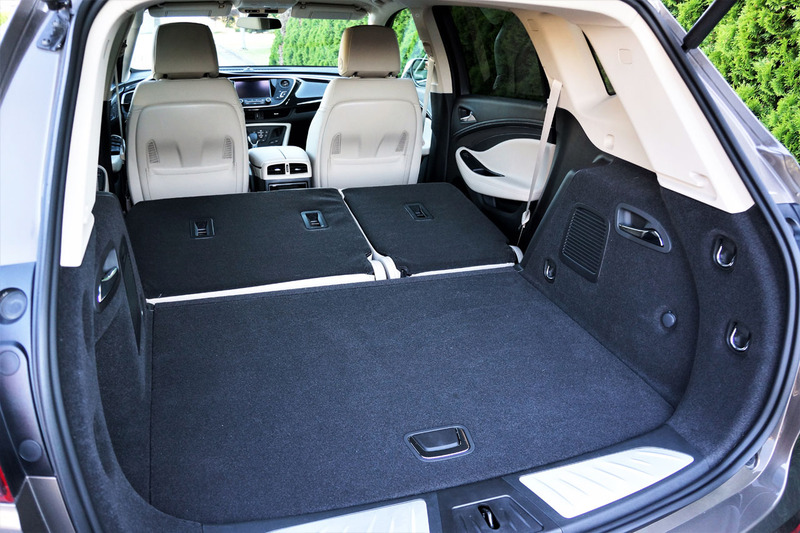 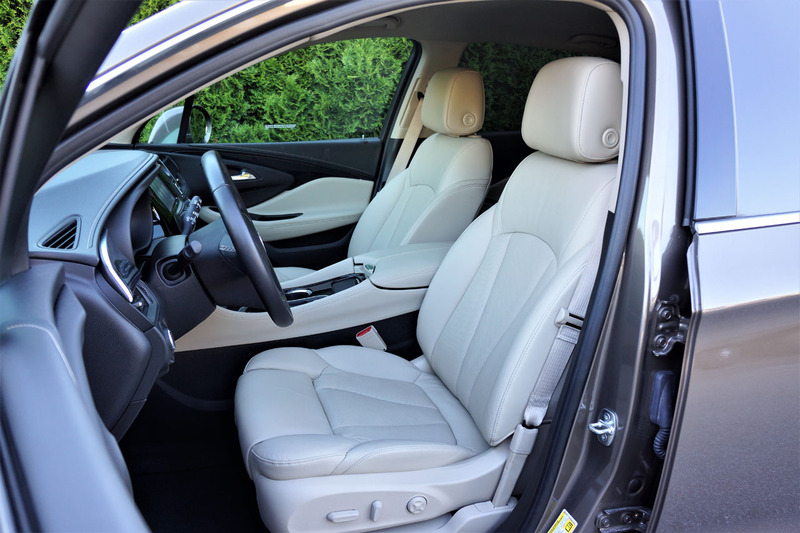 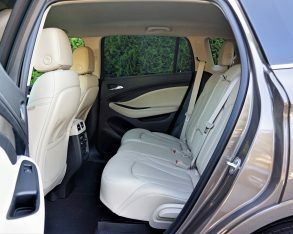 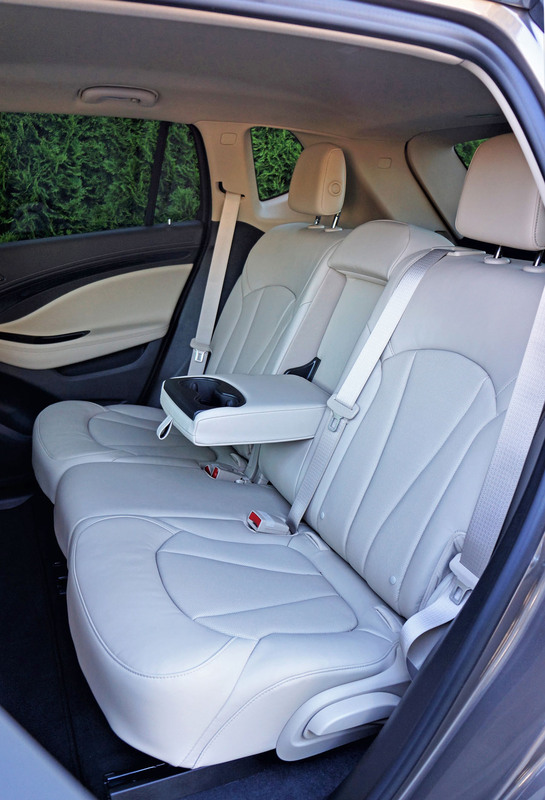 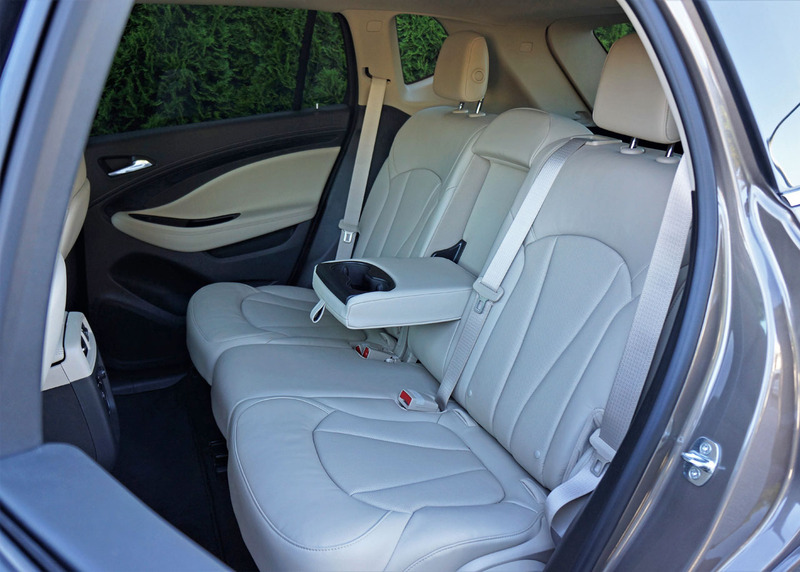 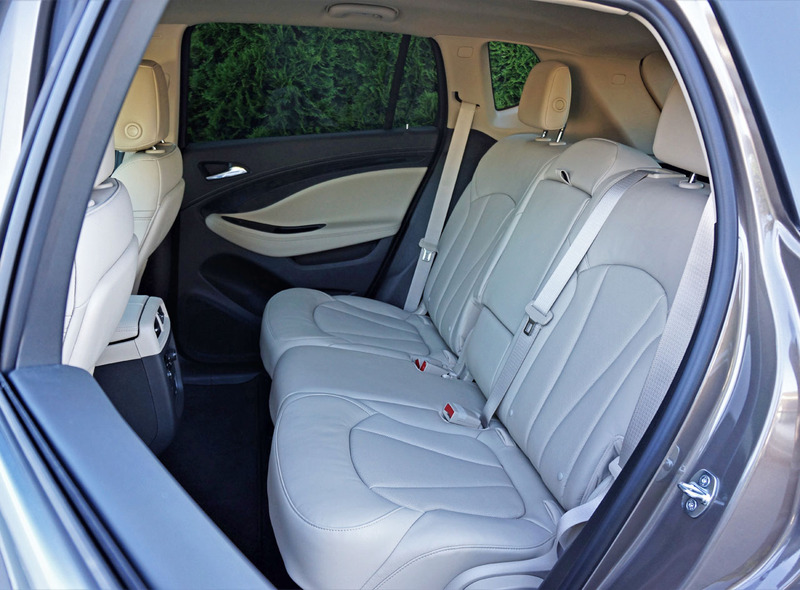 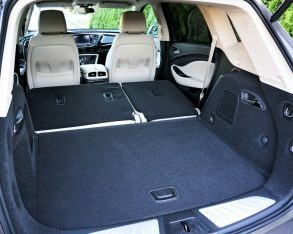 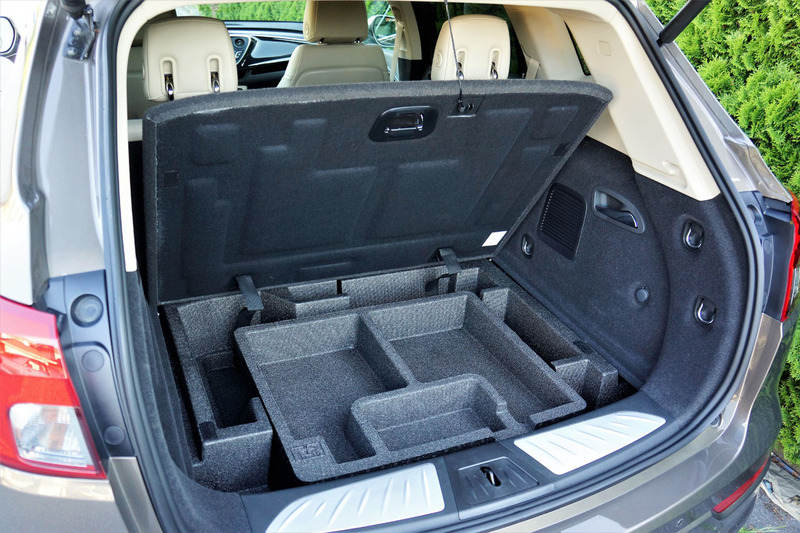 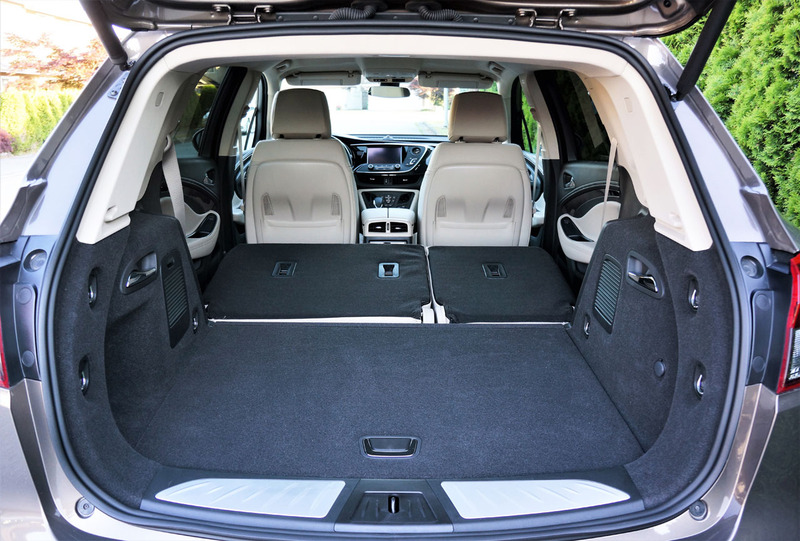 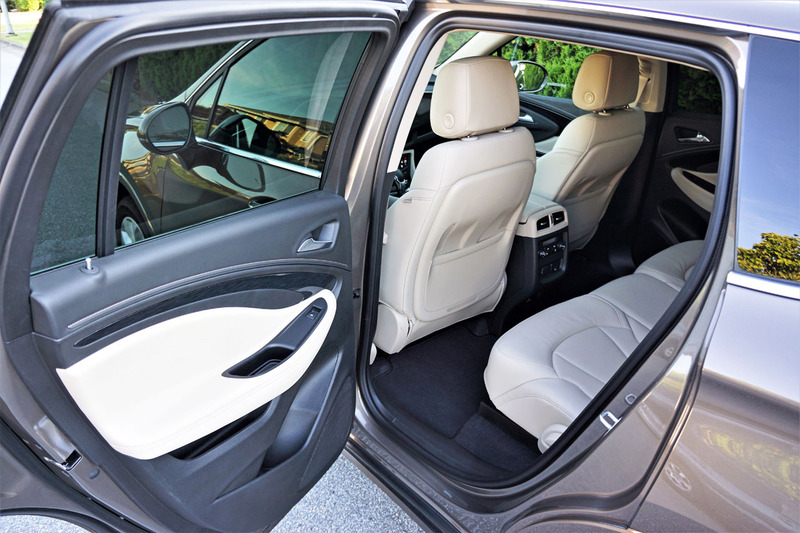 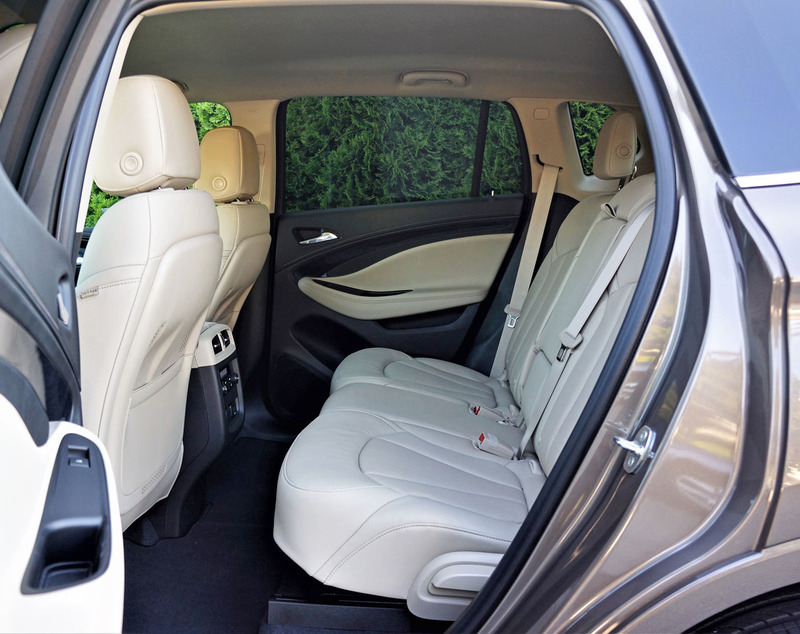 both seats are lowered cargo volume is reasonably accommodating at 1,622 litres, although the RDX provides 2,178 litres (76.9 cubic feet) of total luggage space. 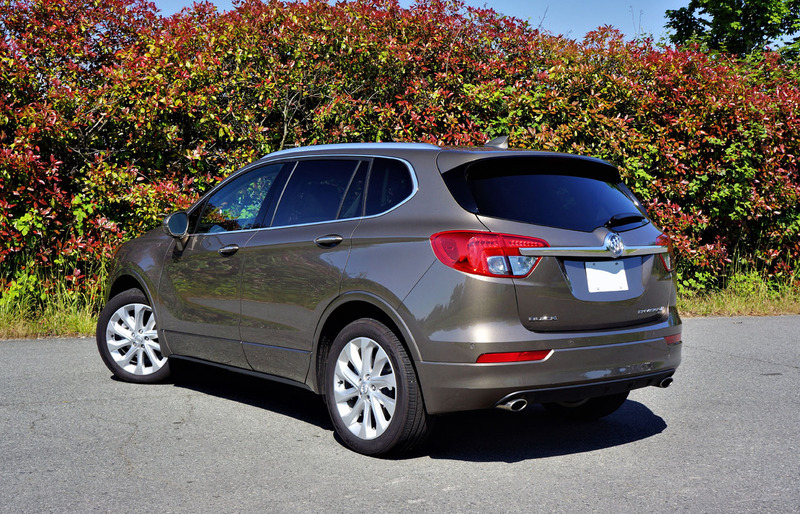 Buick beats this Acura by a smidge with the seats upright, however, at 762 litres (26.9 cubic feet) to 739 (26.1). 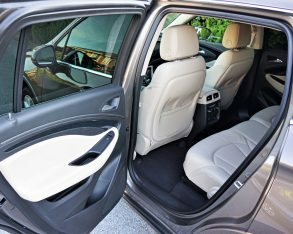 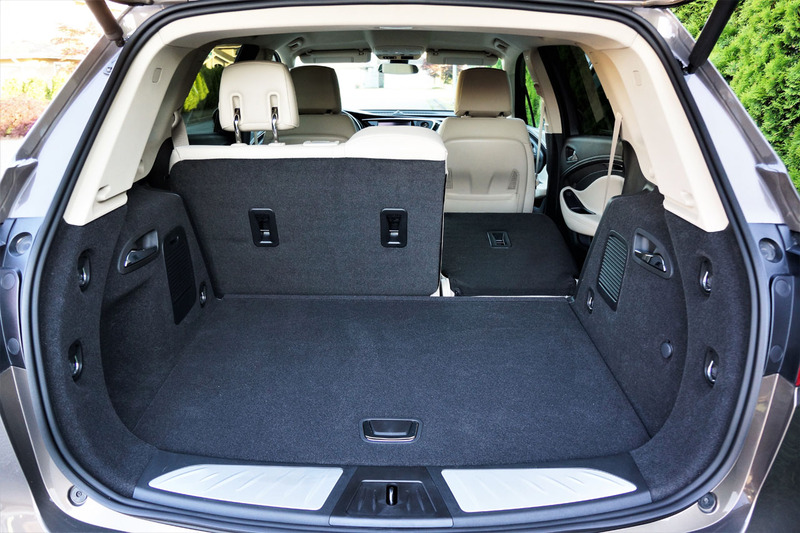 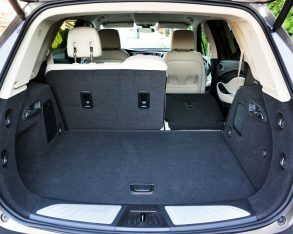 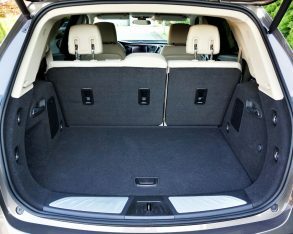 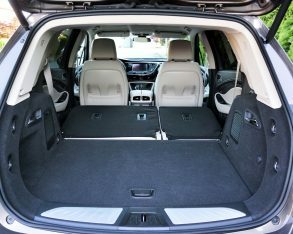 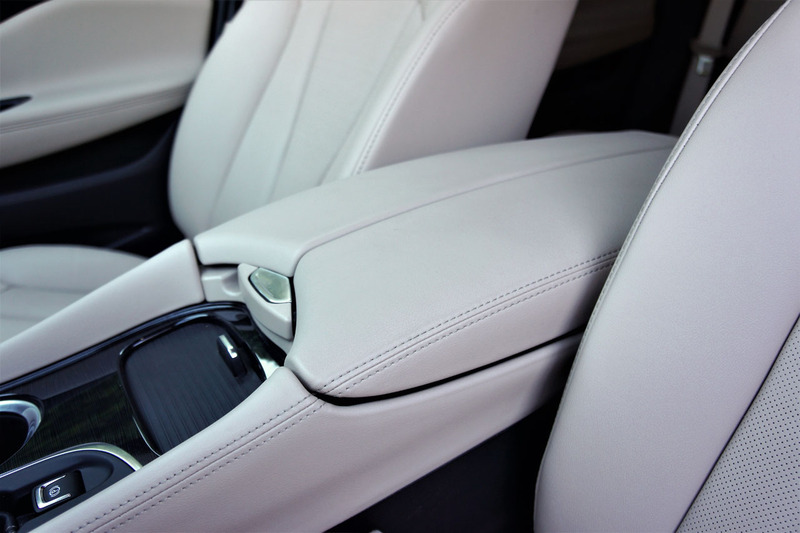 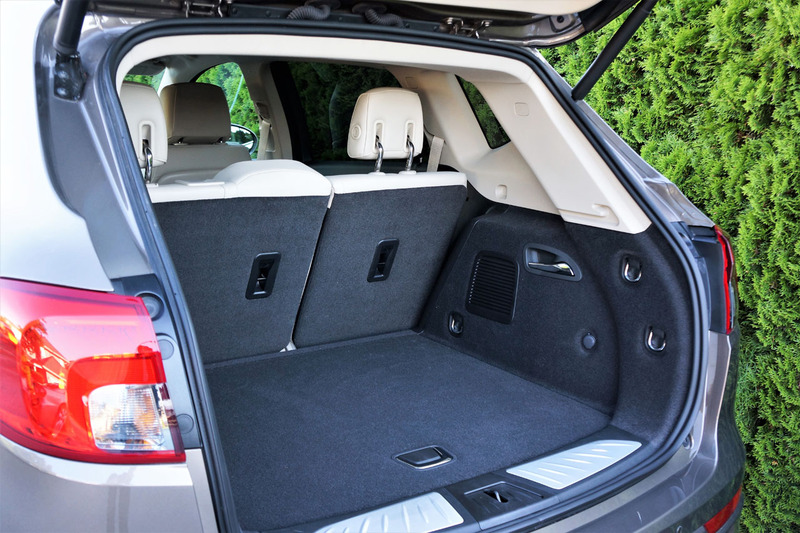 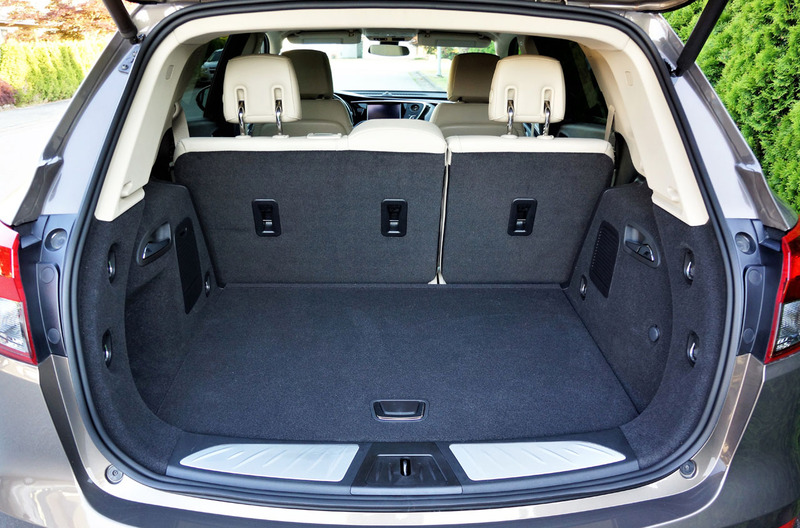 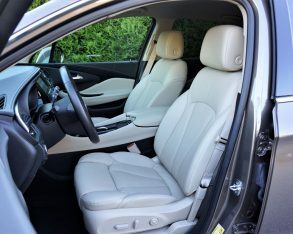 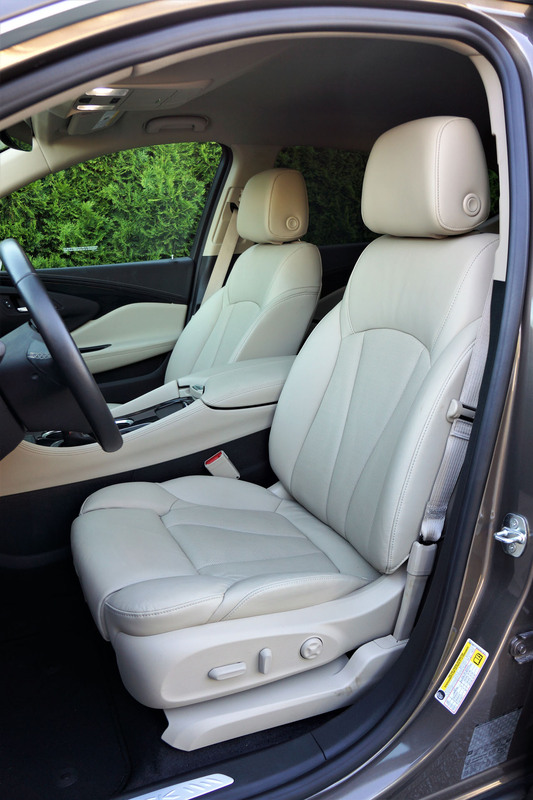 The roomiest behind the rear seats in this class is the Land Rover Discovery Sport at 981 litres, incidentally, and that SUV also offers class-exclusive third-row seating. 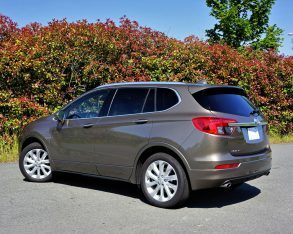 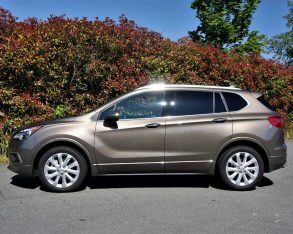 At the end of my test week it was abundantly clear the new Envision is not the best available in its ever-growing compact luxury SUV class, but as noted earlier it’s third most affordable and still plenty impressive. 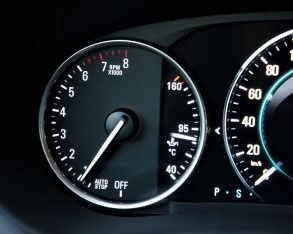 Hence why it’s selling quite well. 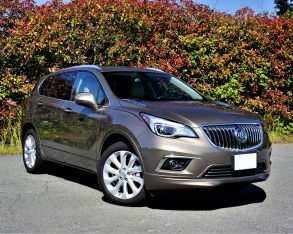 Well, that along with Canada’s large population of Chinese immigrants who have a special affinity for all things Buick. 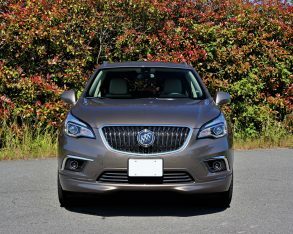 This market niche is a significant opportunity GM Canada will want to cater to, but I don’t see the brand attracting as many up and coming Canadians from alternative backgrounds despite offering what is now a truly imported model.